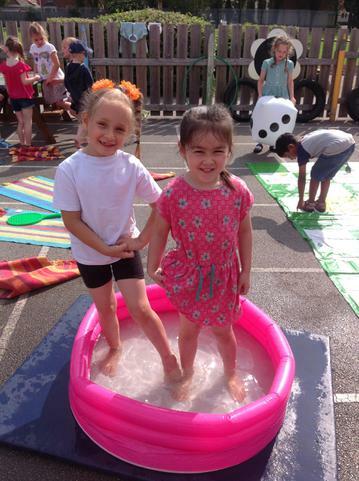 This week we have started our new topic 'Who lives in a rock pool?'. 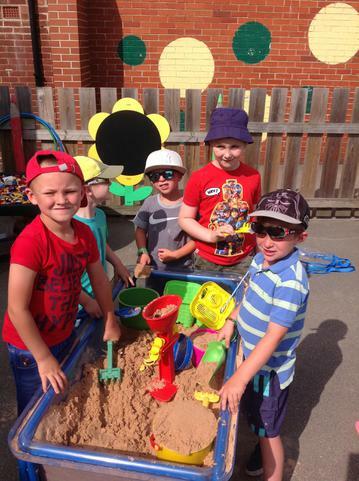 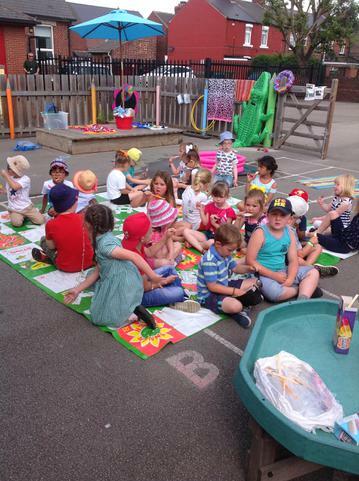 To start our seaside topic we had a beach party in Class 1. 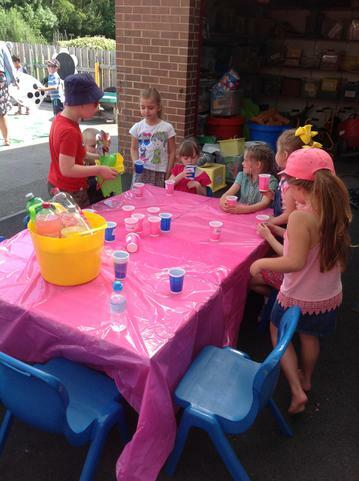 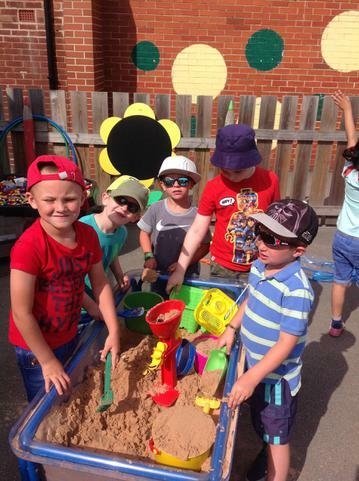 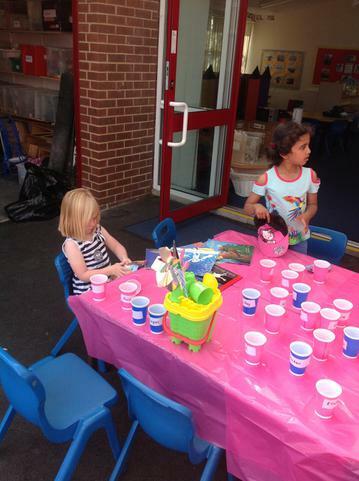 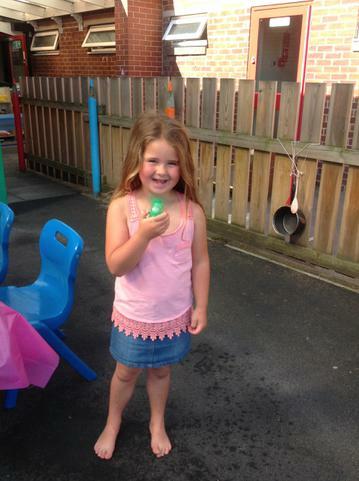 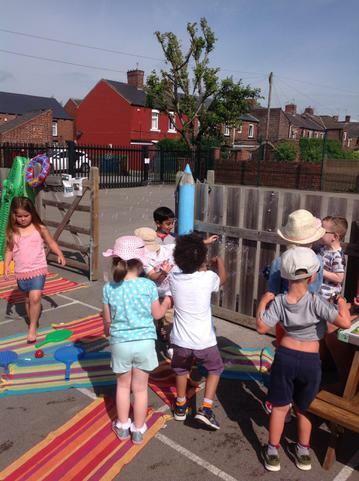 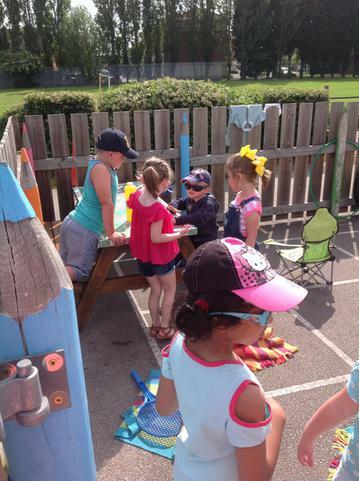 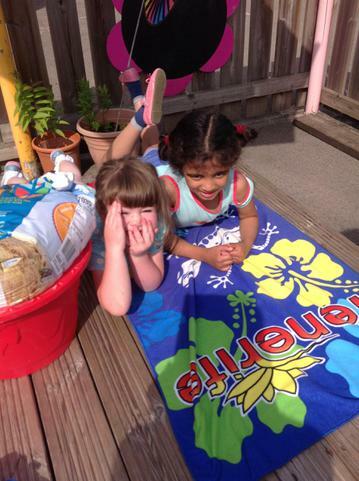 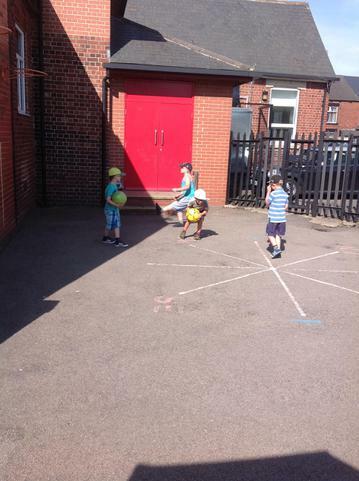 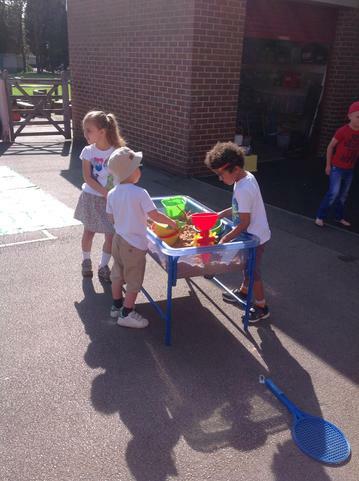 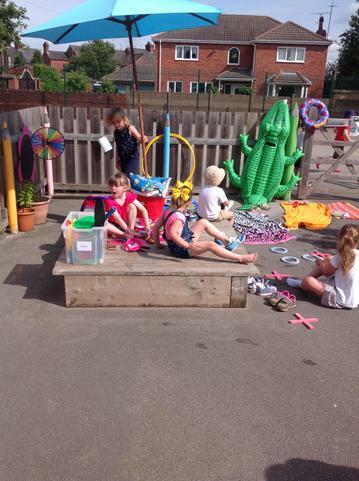 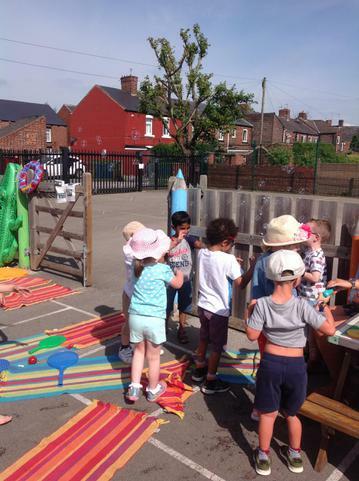 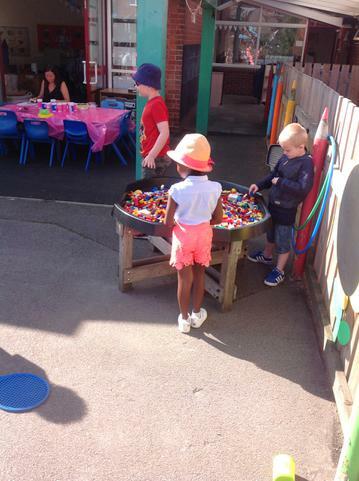 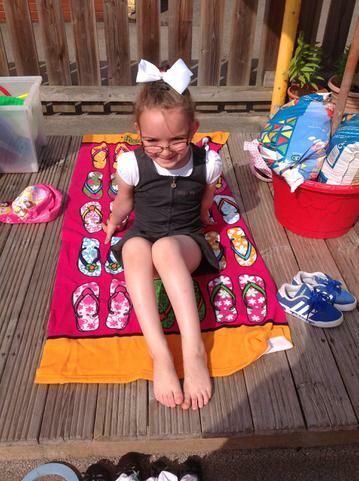 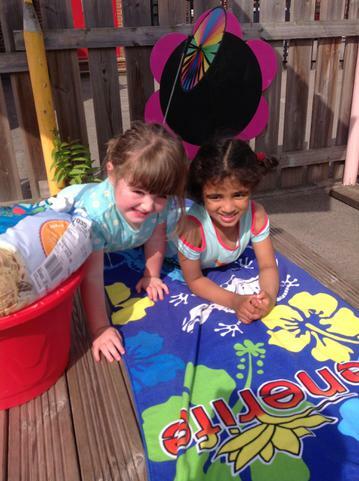 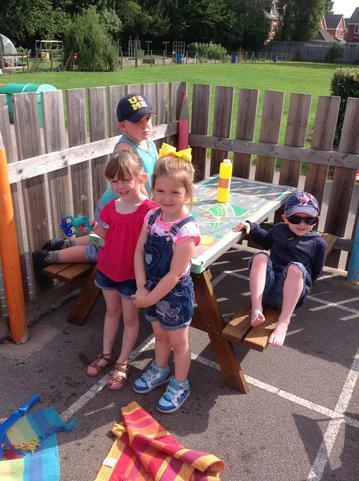 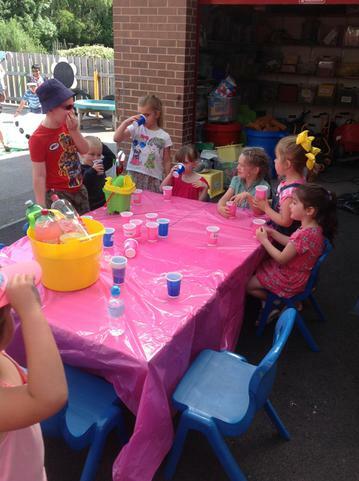 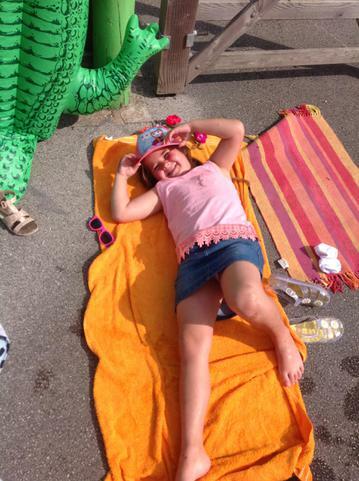 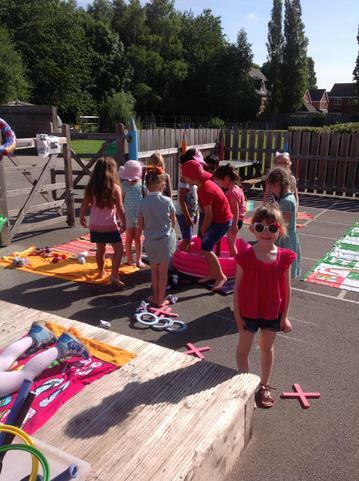 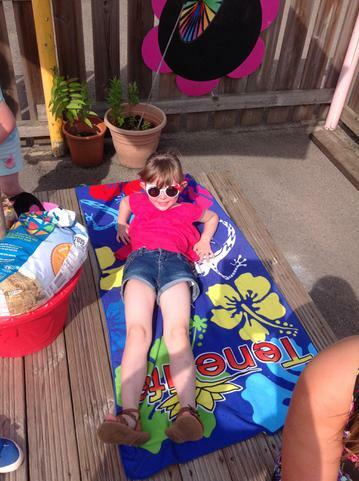 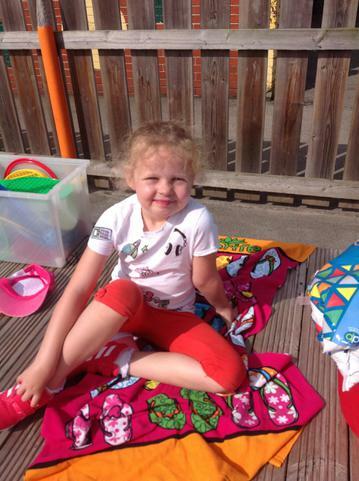 We played games, sunbathed, played in the sand and of course we had ice lollies and pink lemonade! 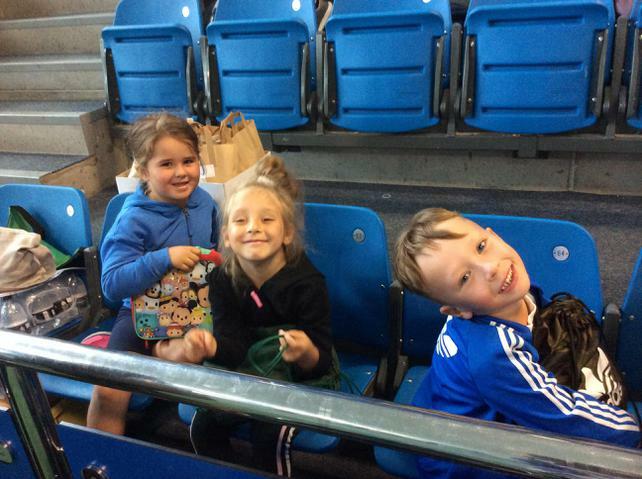 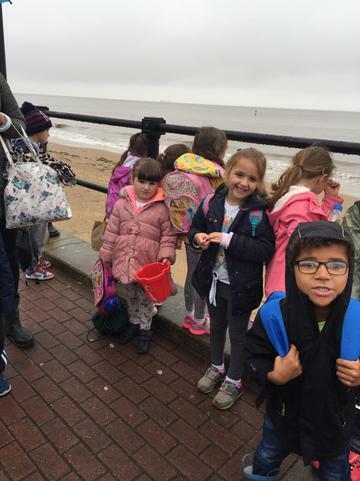 We all had a fantastic time and we're really excited to be learning more about the new topic. 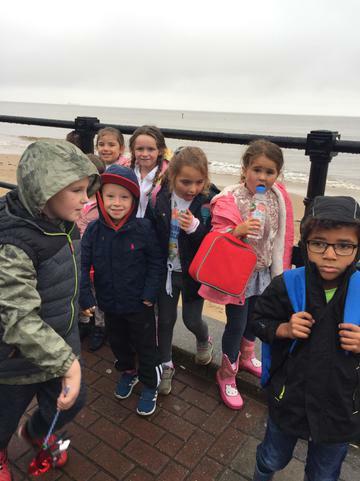 Well done to the Year 1 children who have worked very in hard in Phonics and have tried their very best in the phonics screening test. 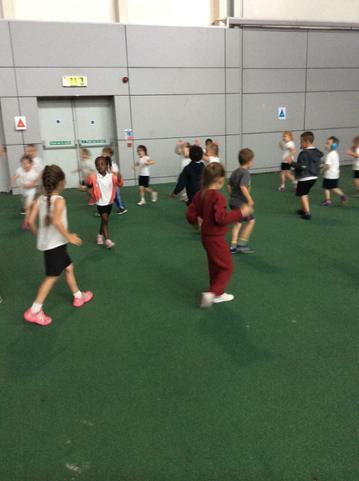 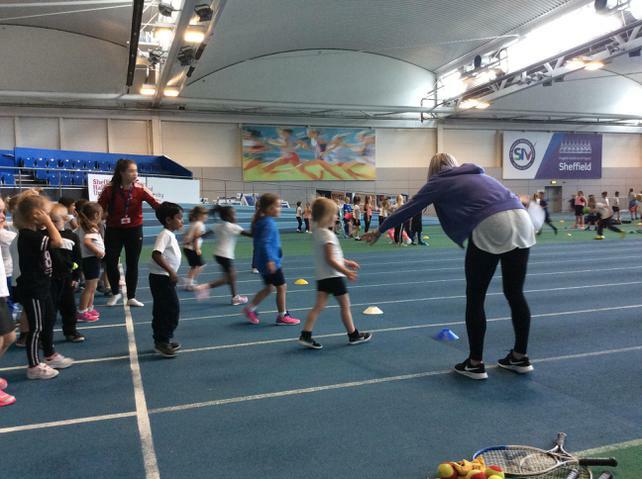 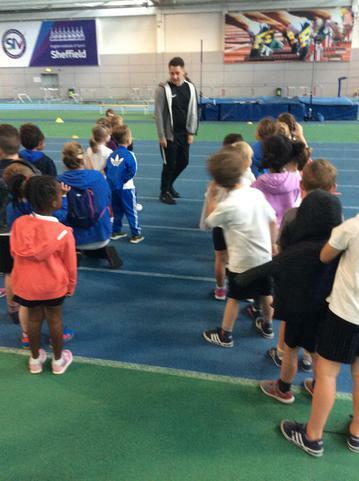 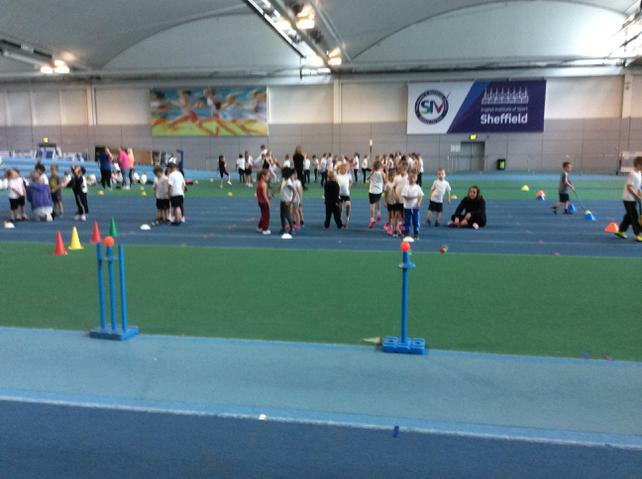 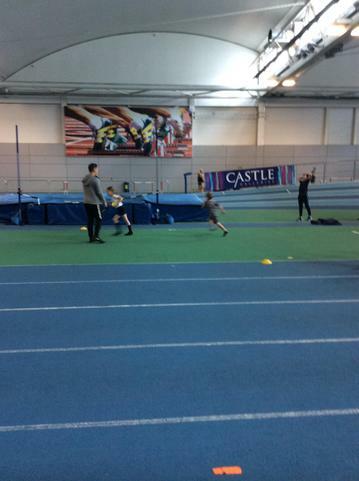 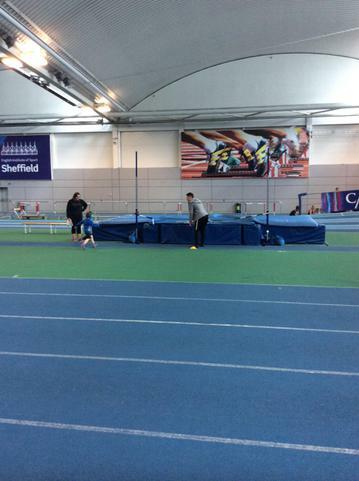 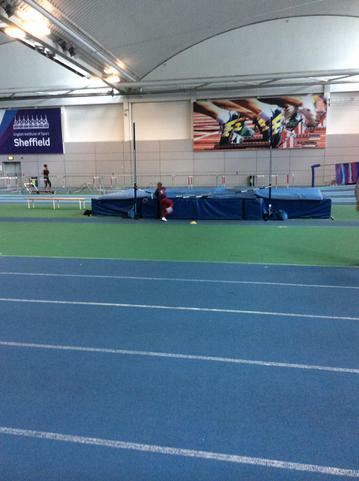 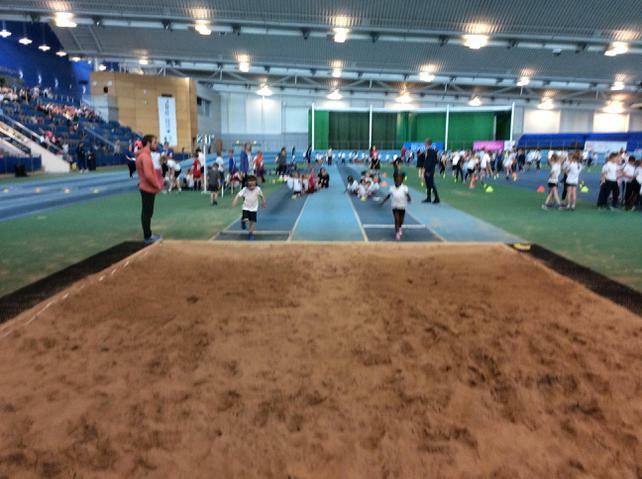 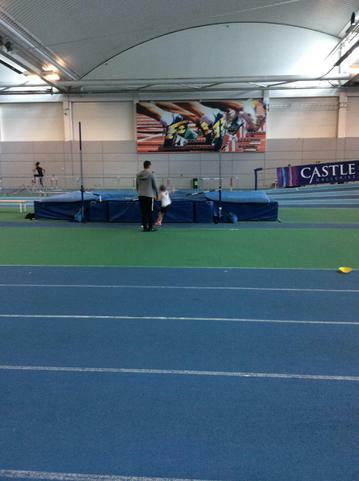 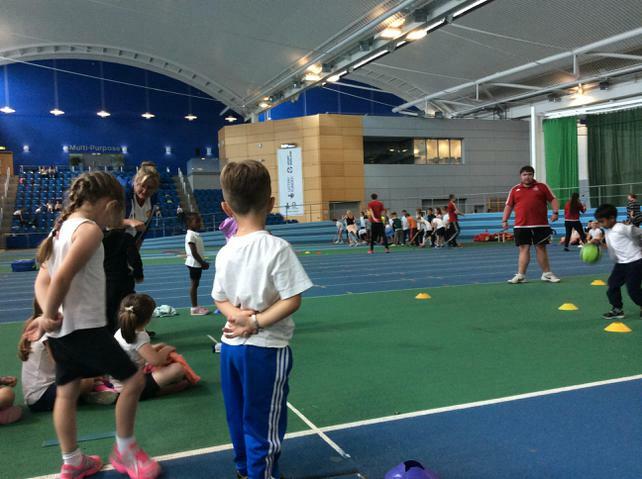 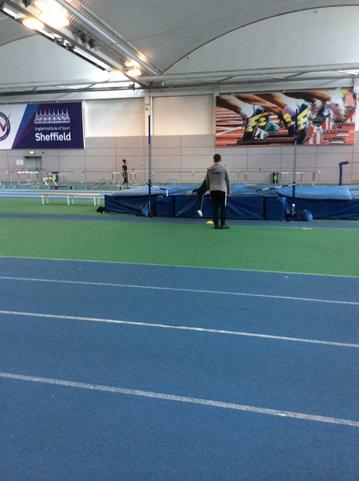 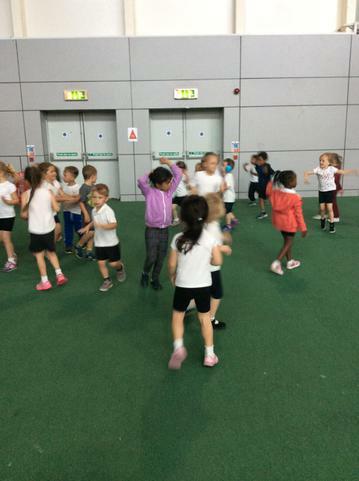 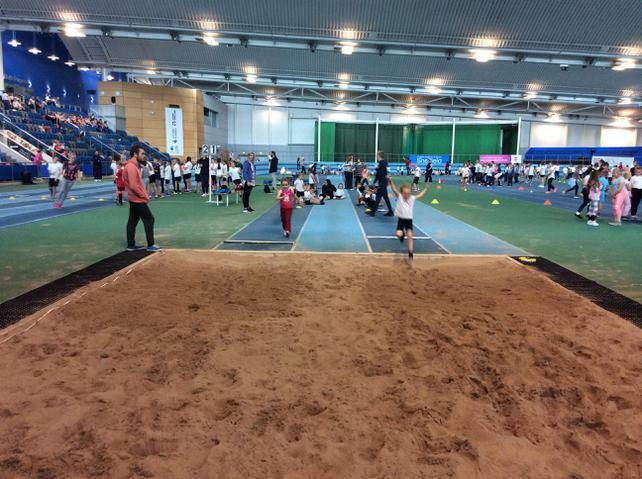 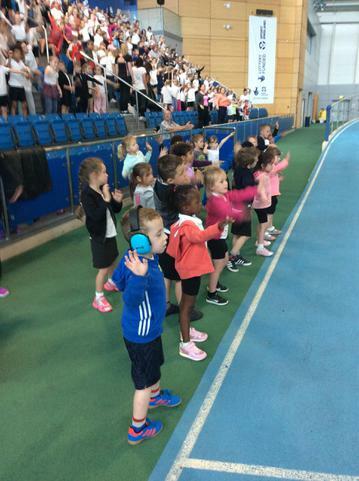 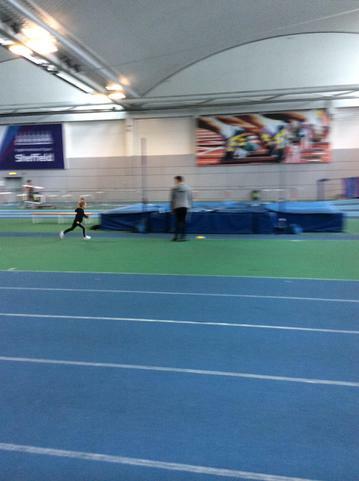 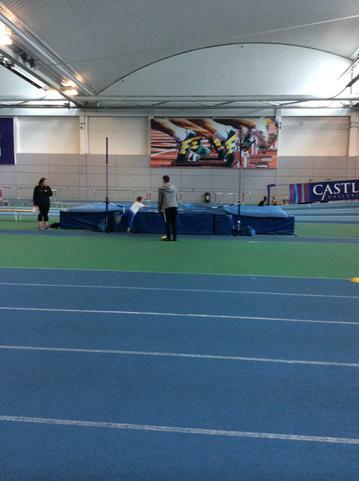 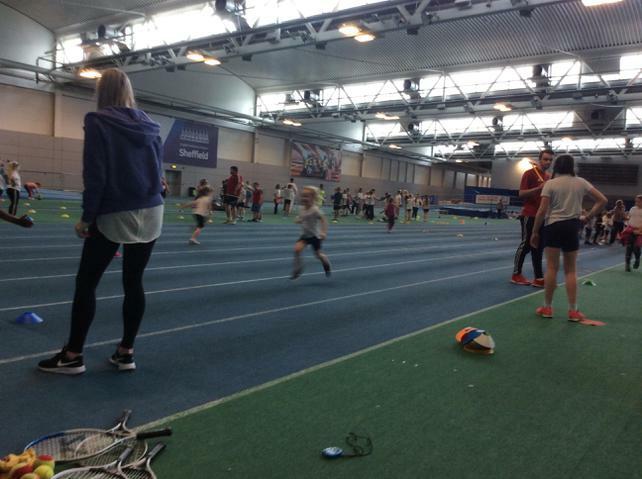 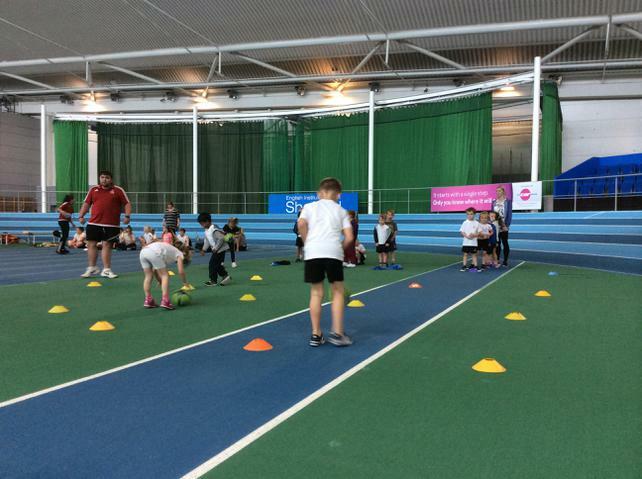 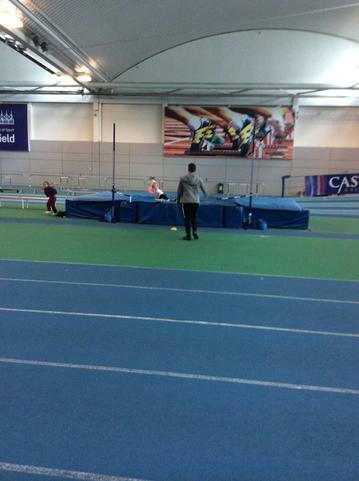 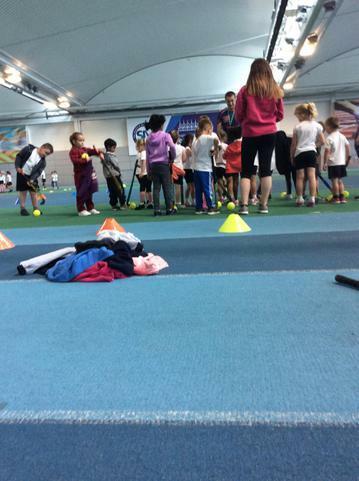 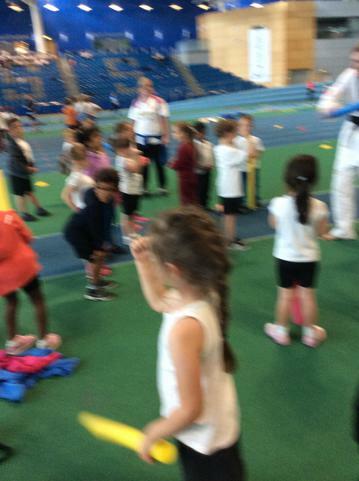 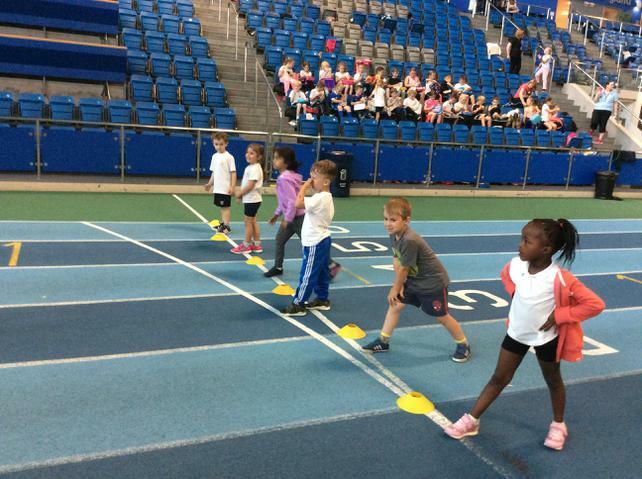 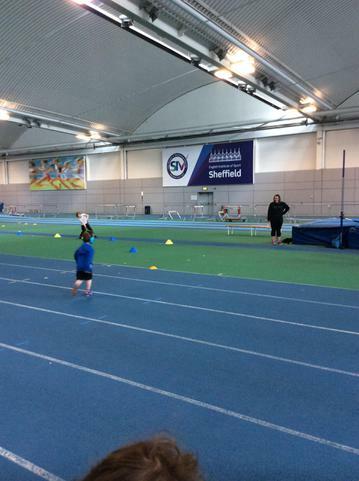 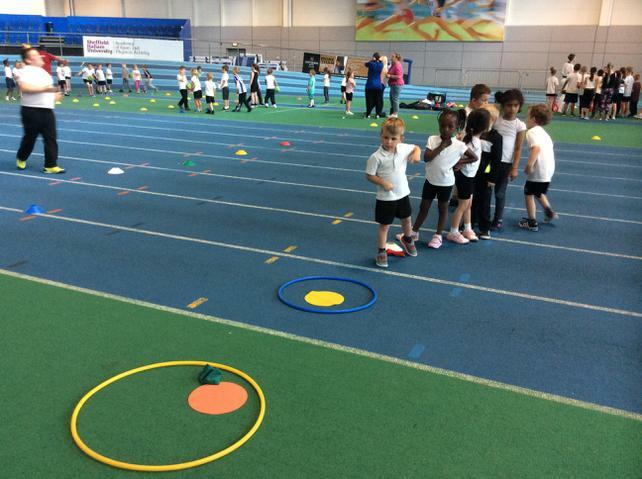 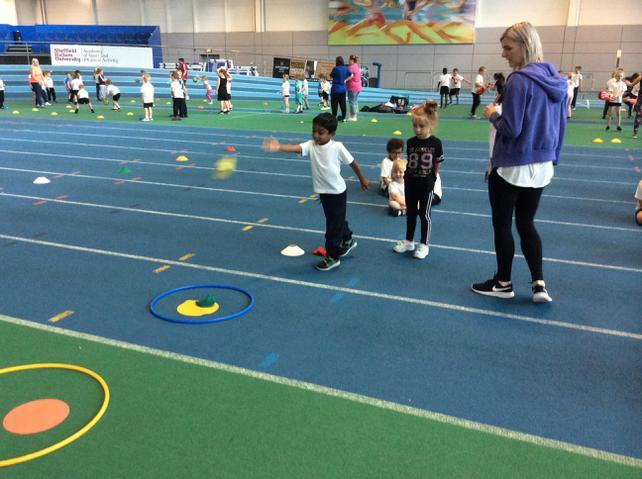 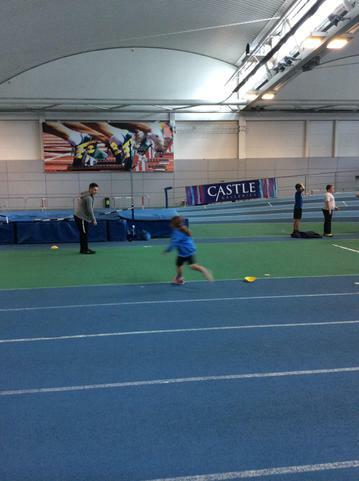 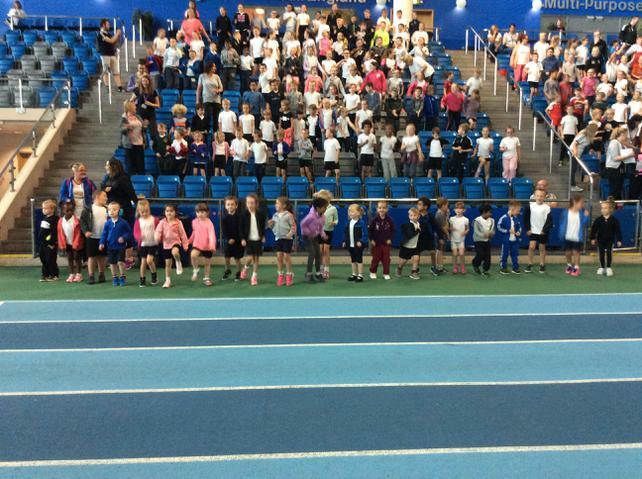 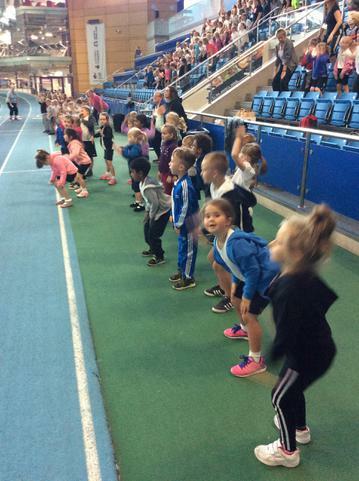 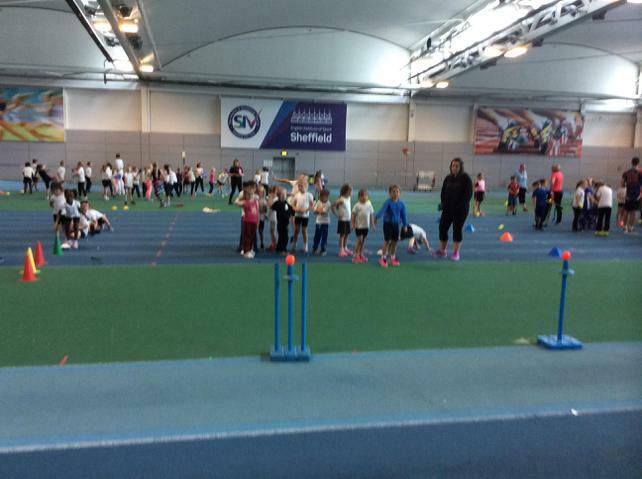 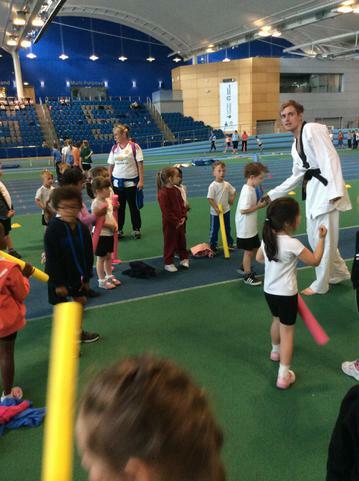 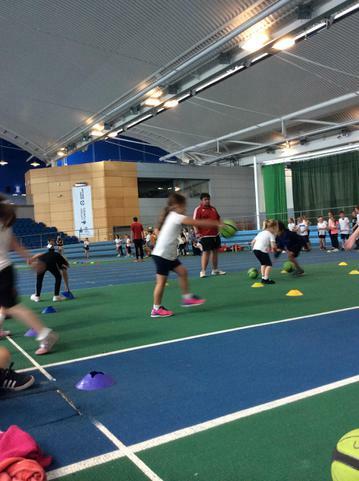 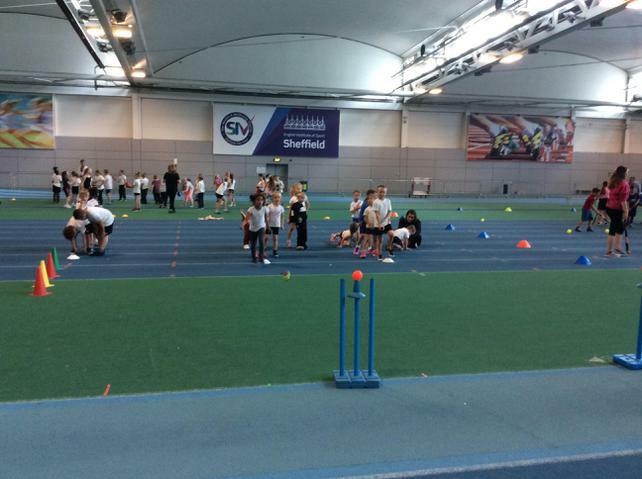 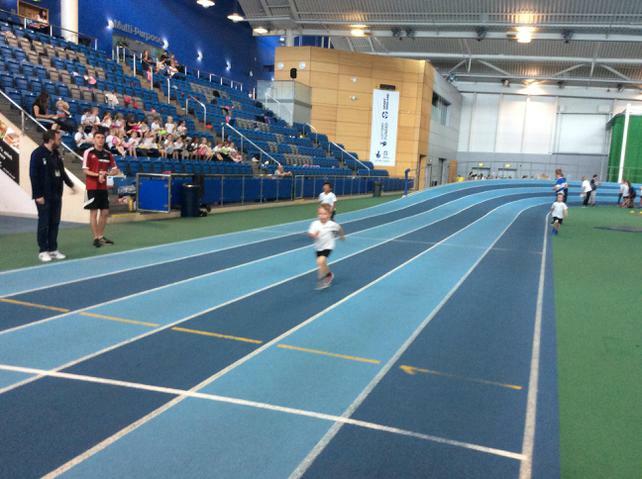 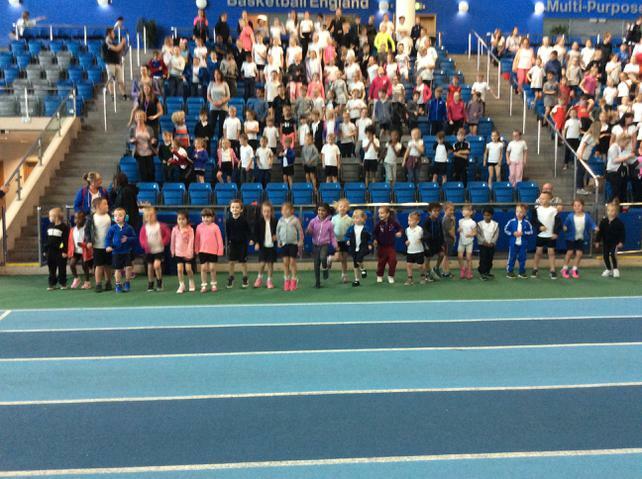 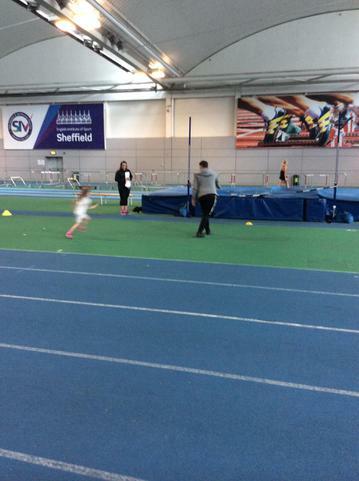 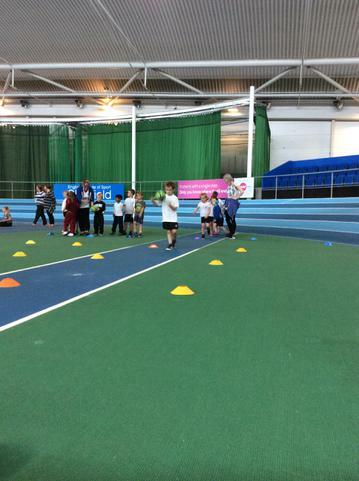 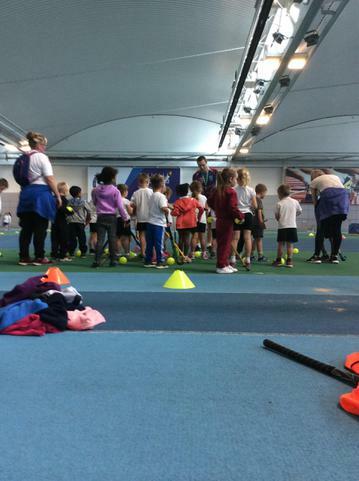 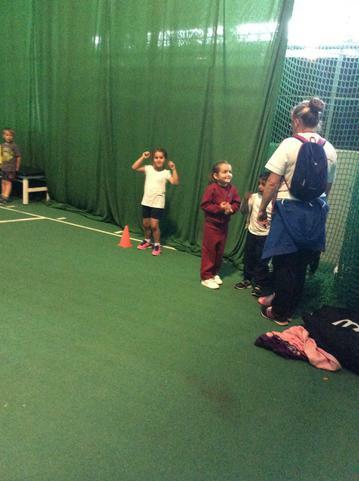 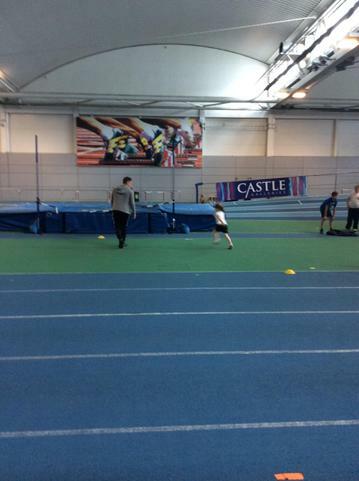 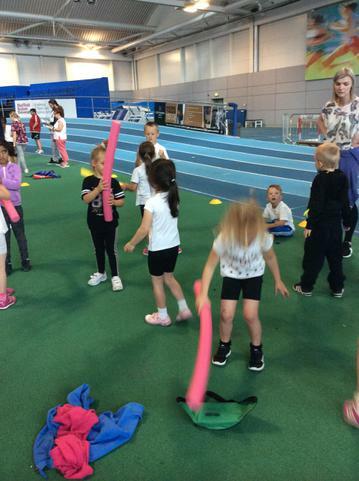 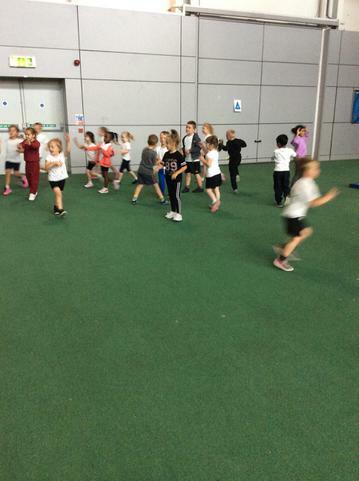 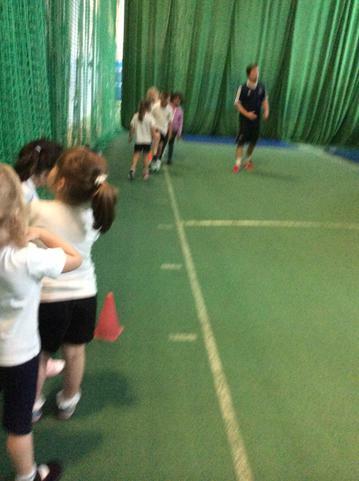 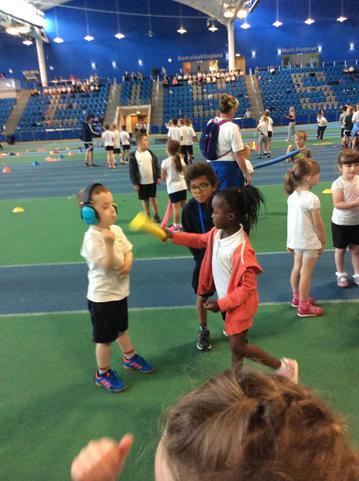 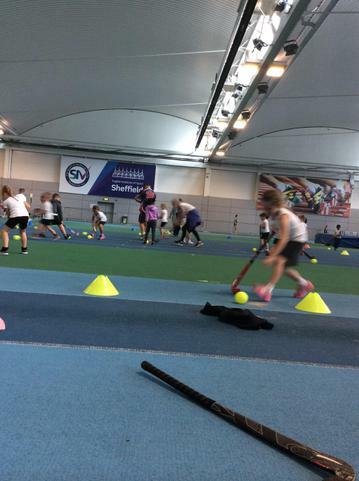 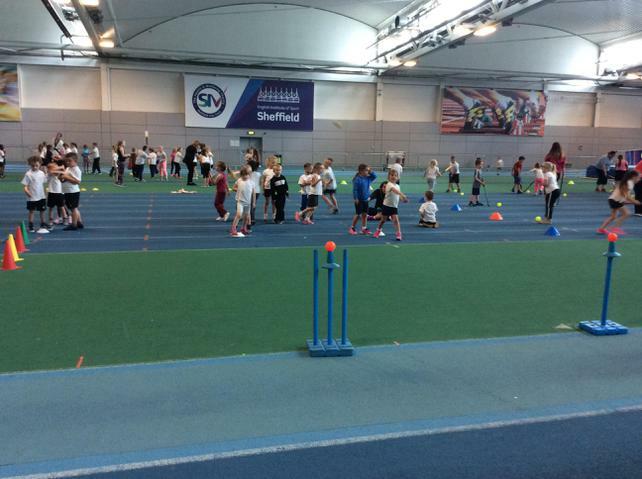 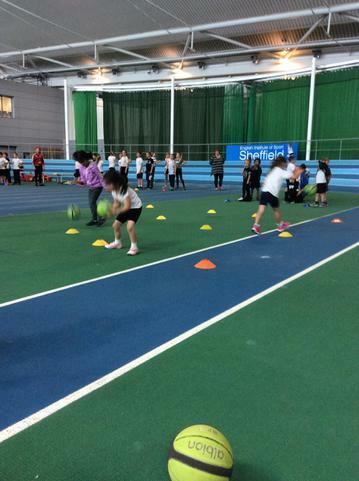 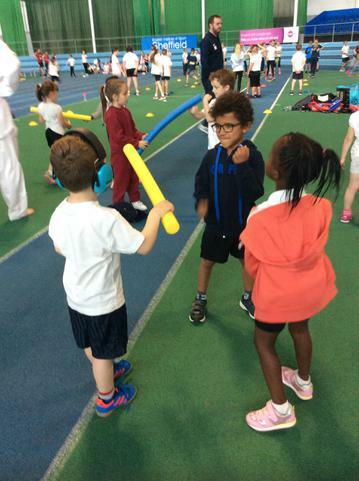 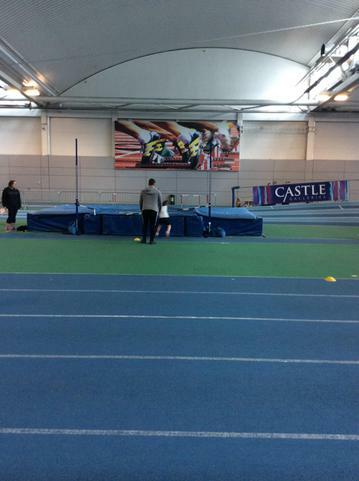 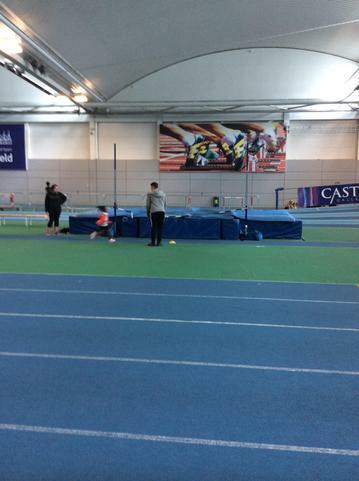 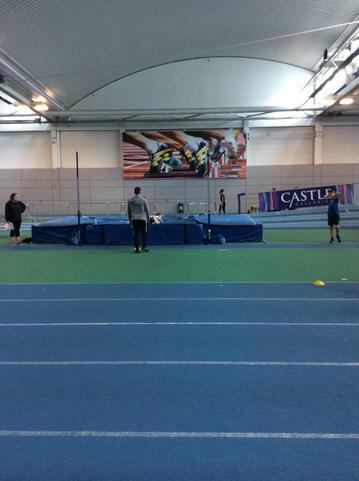 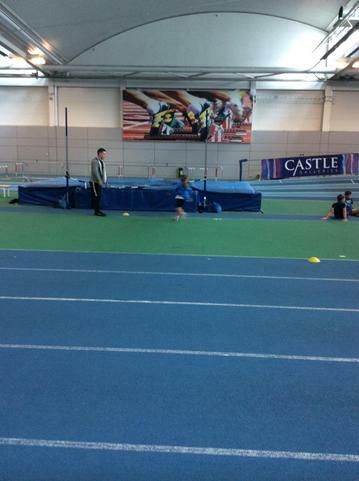 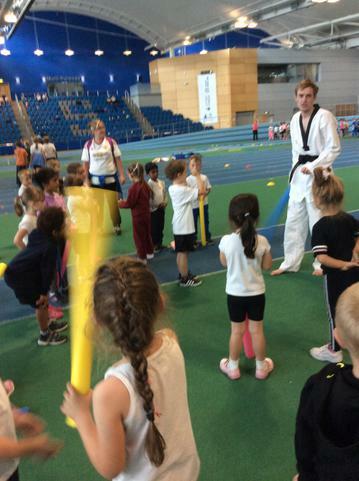 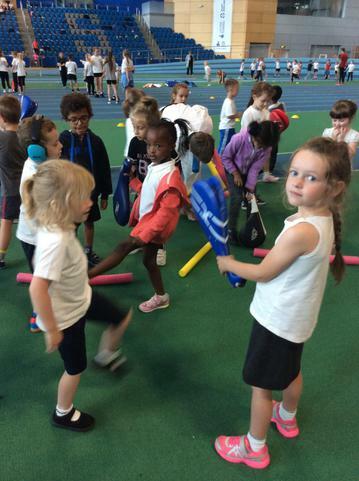 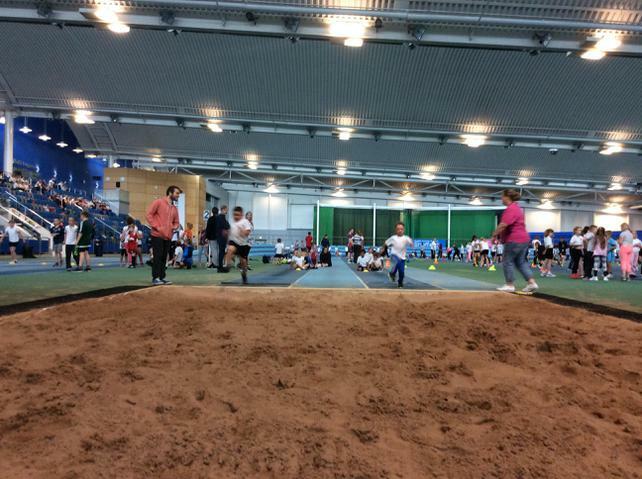 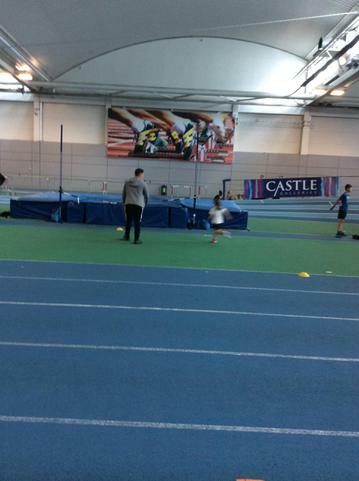 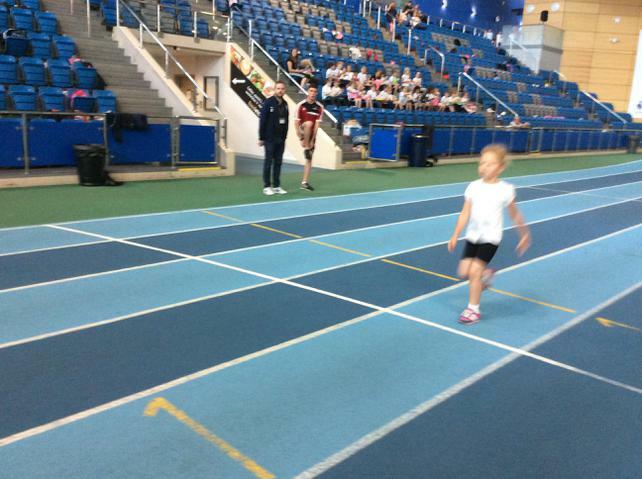 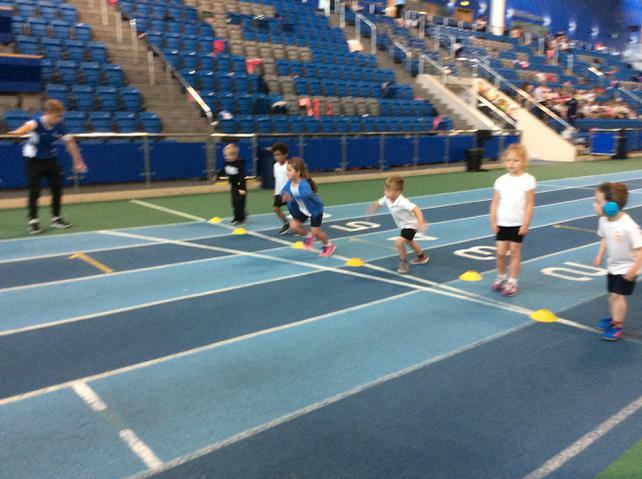 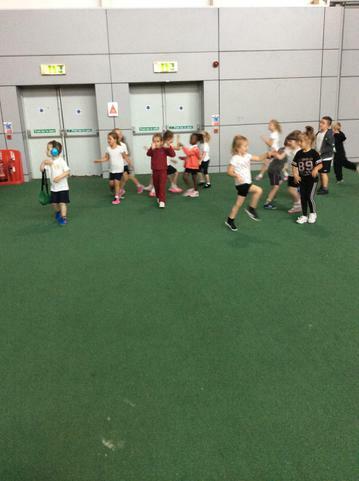 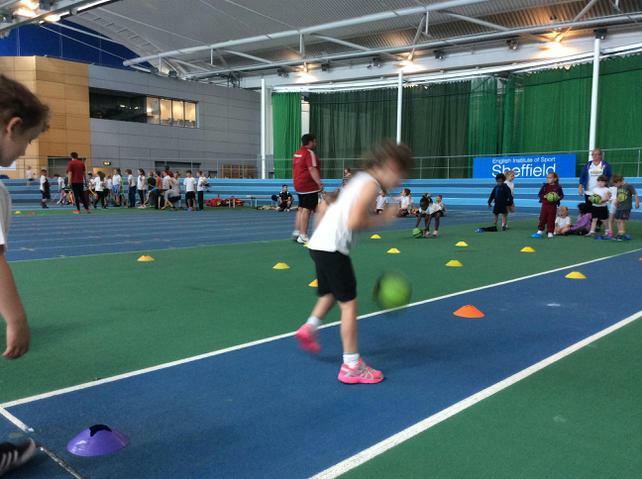 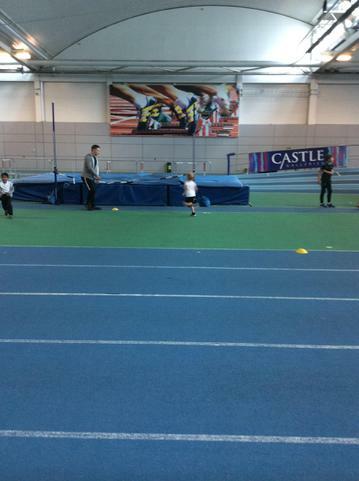 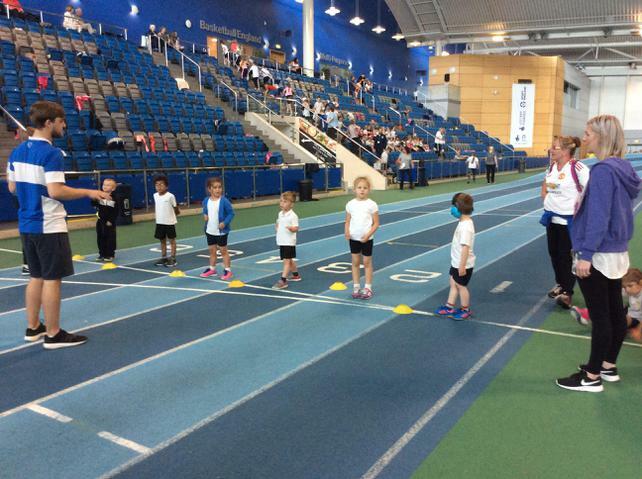 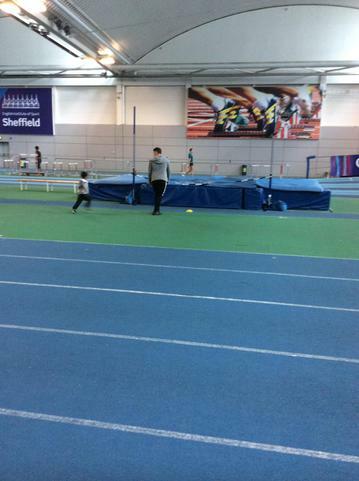 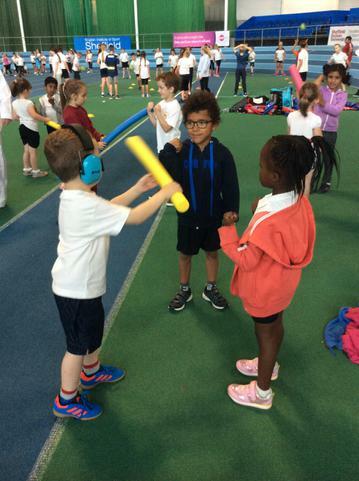 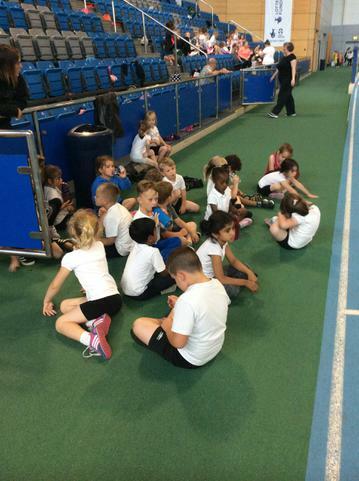 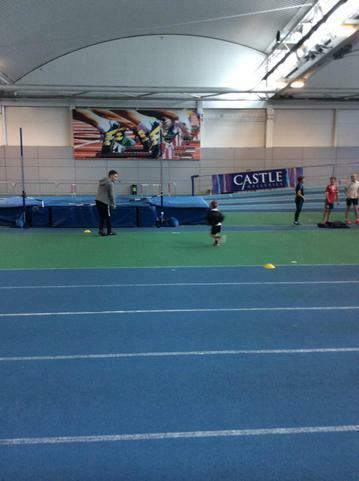 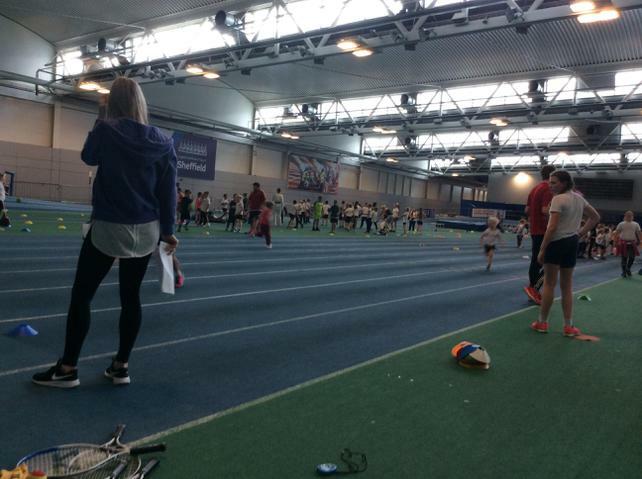 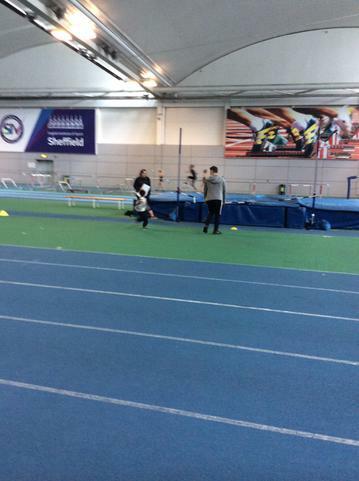 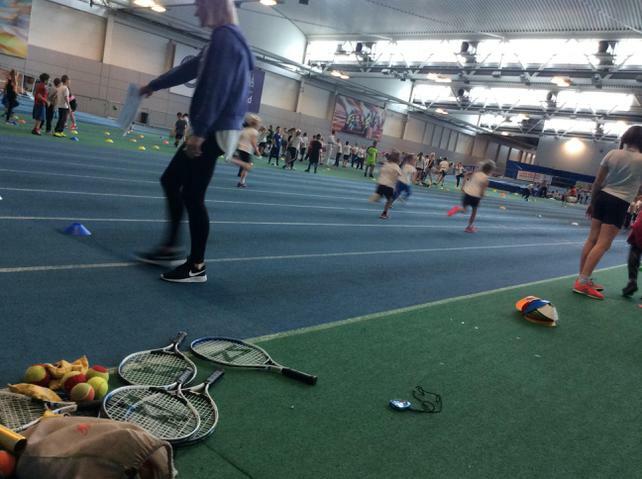 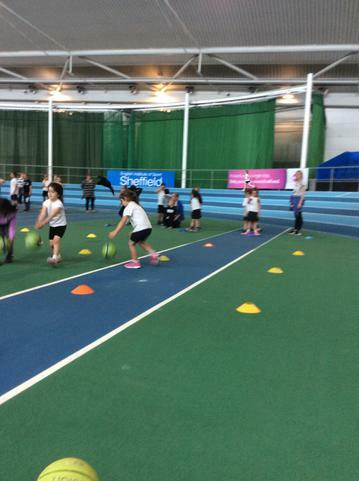 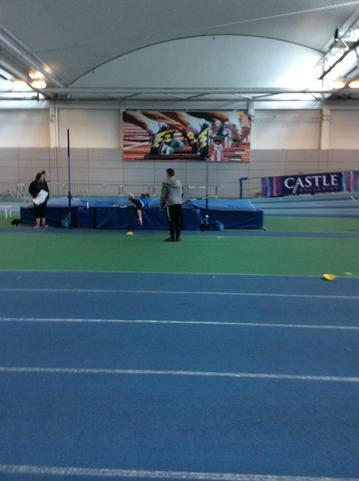 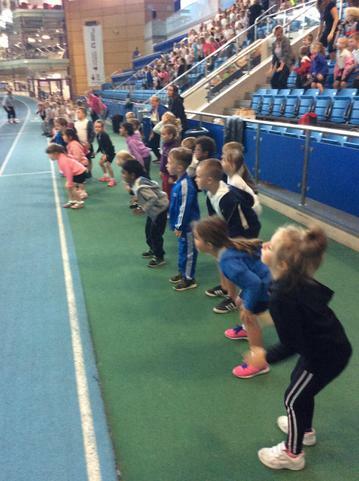 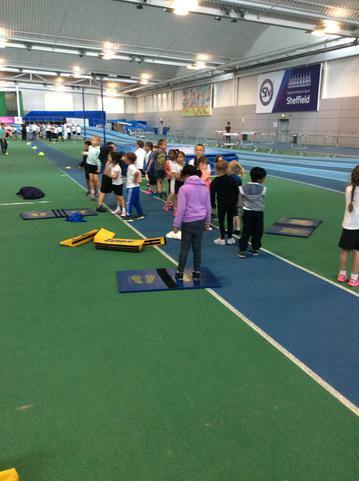 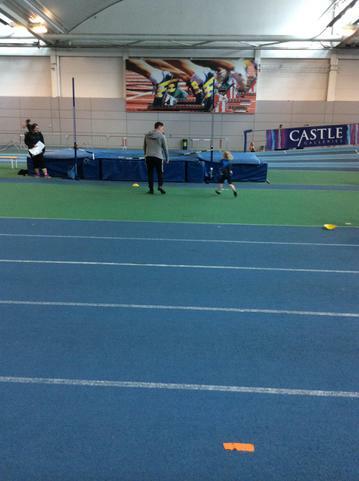 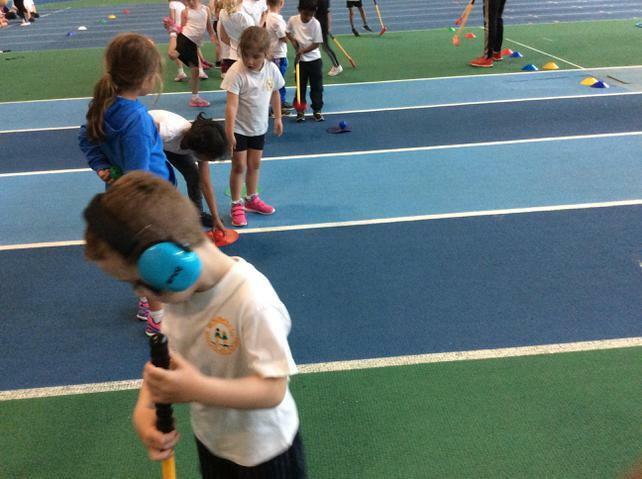 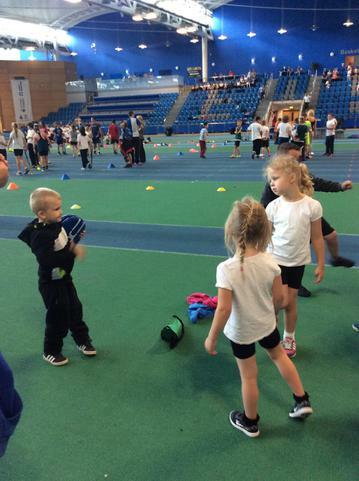 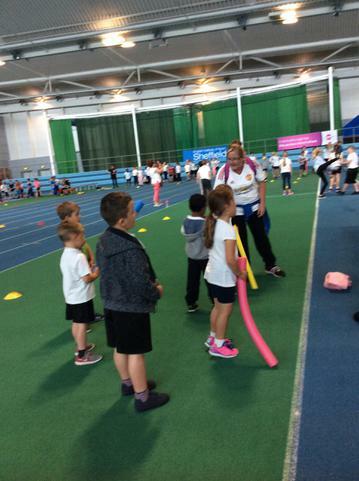 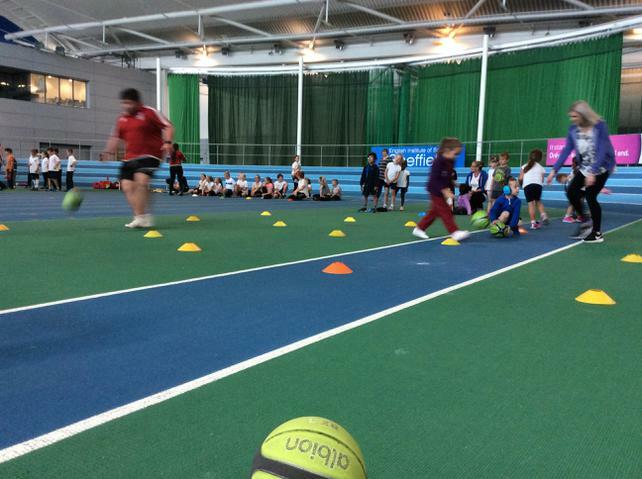 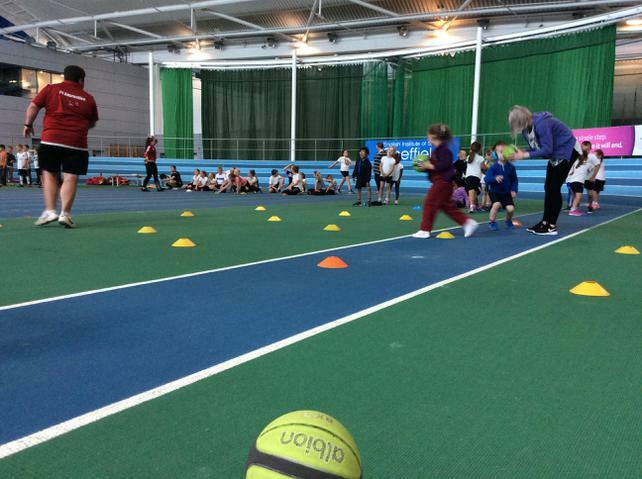 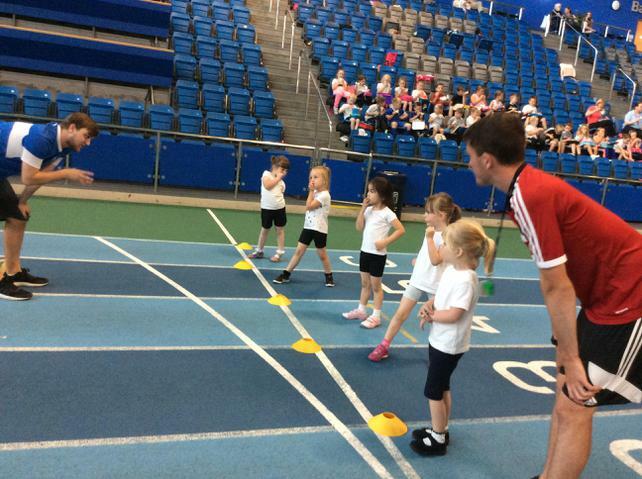 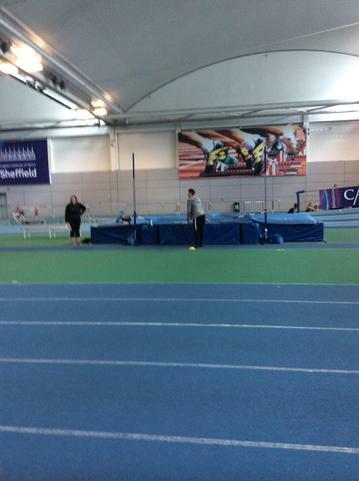 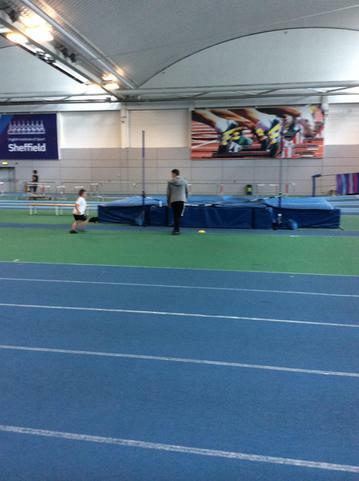 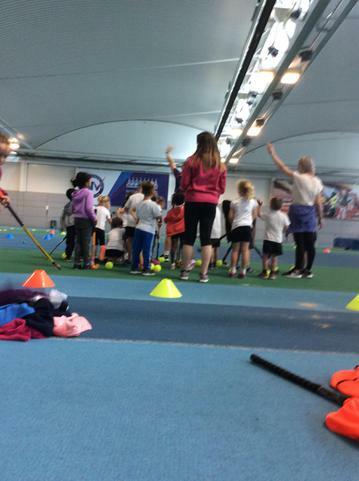 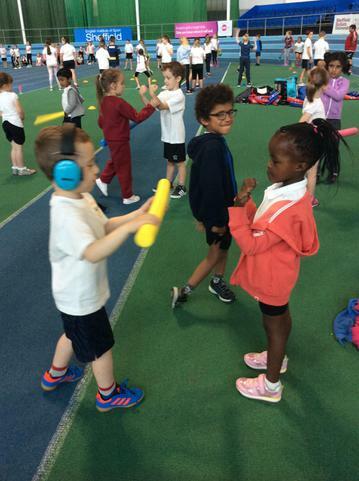 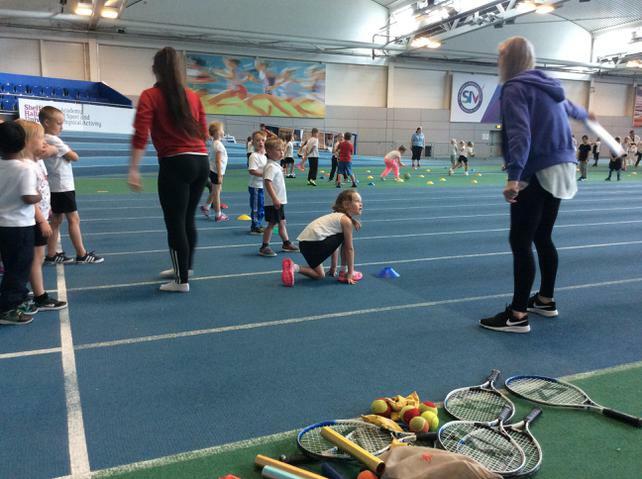 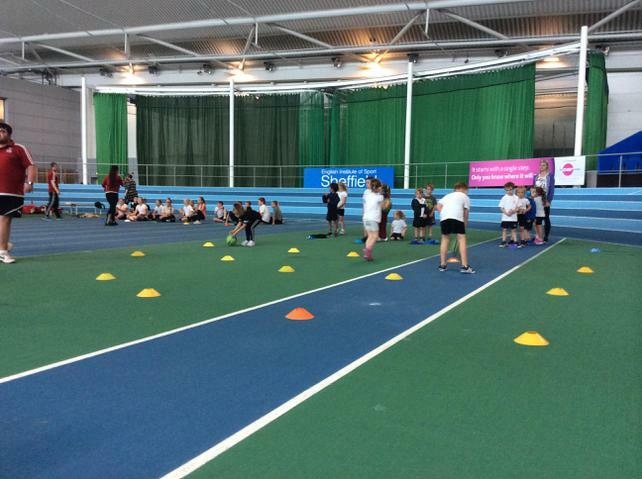 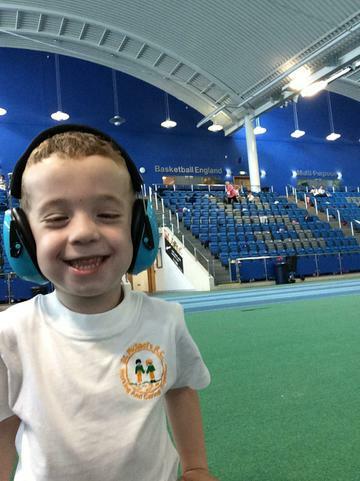 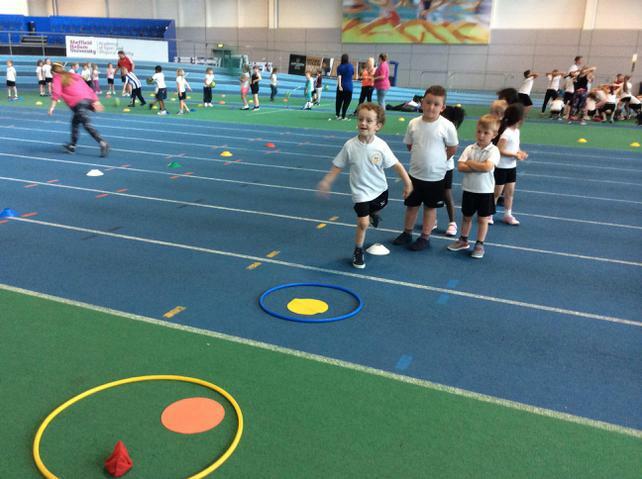 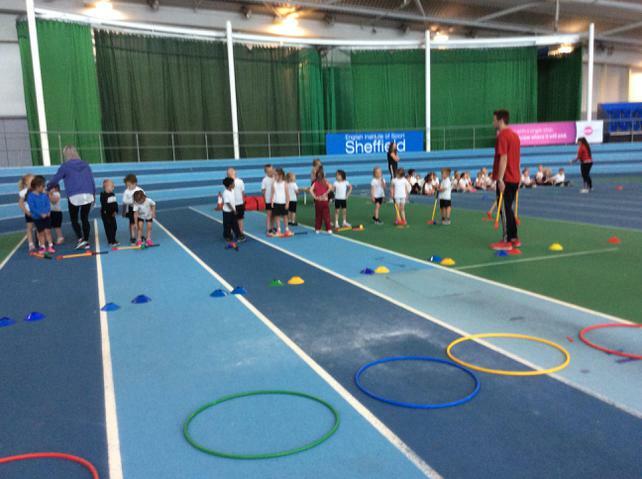 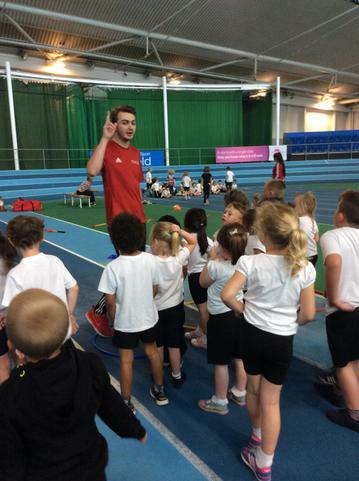 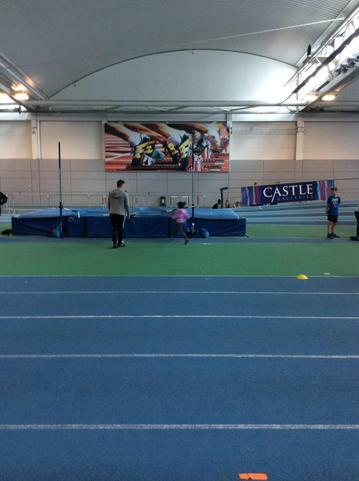 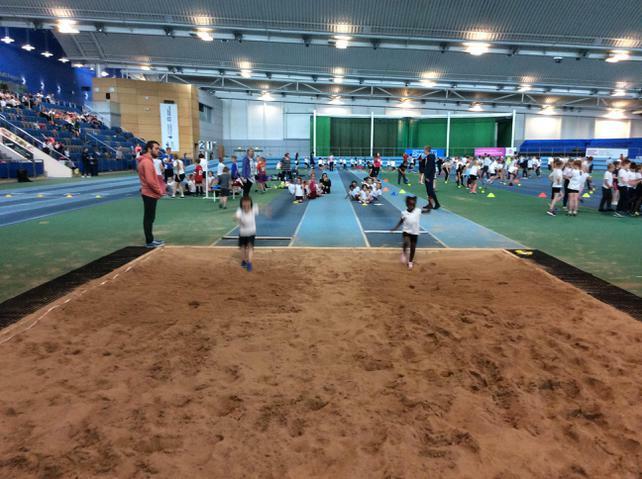 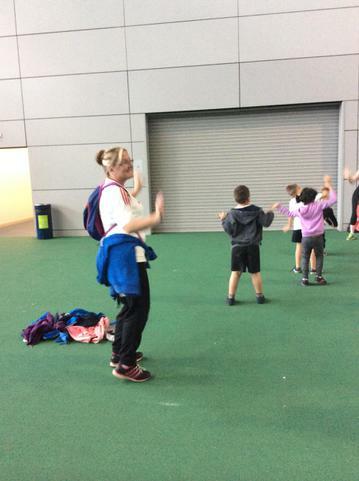 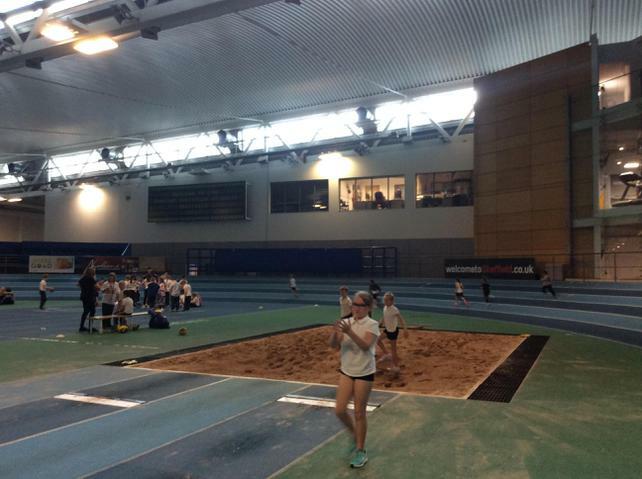 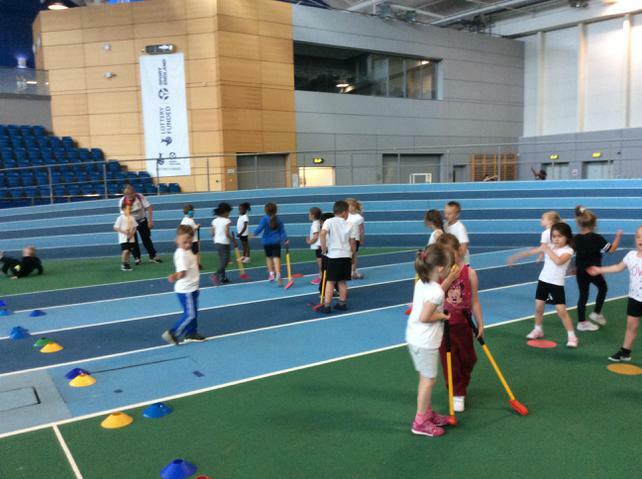 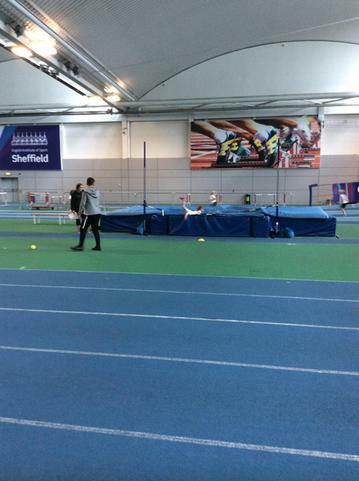 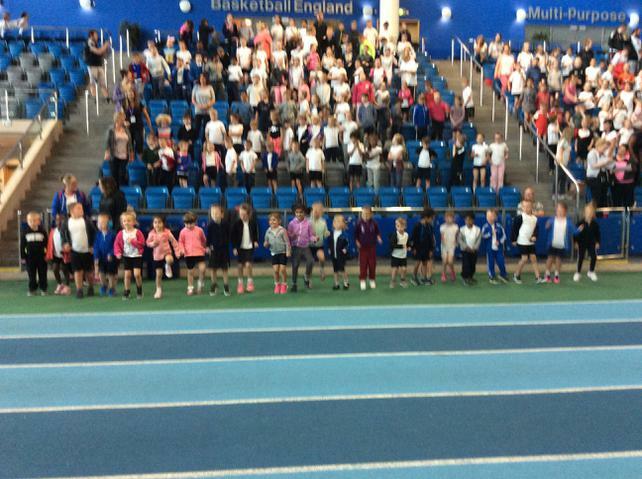 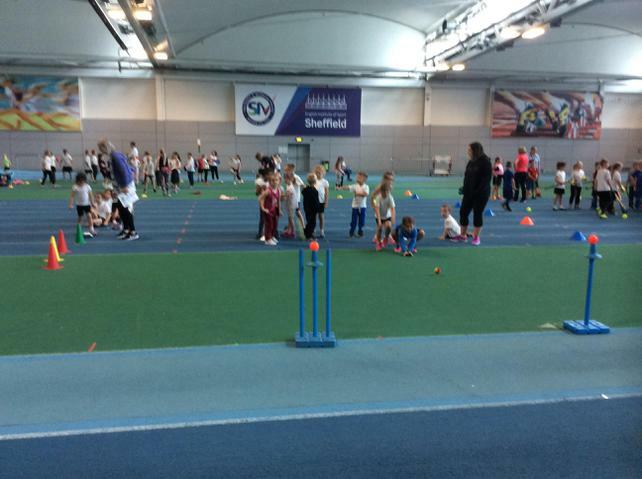 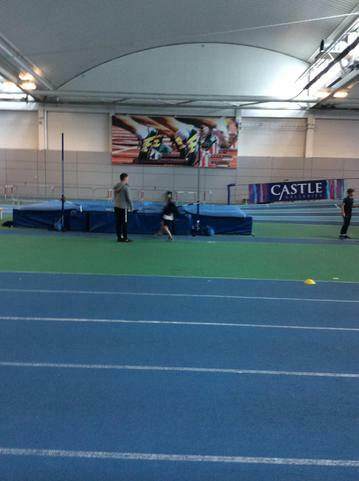 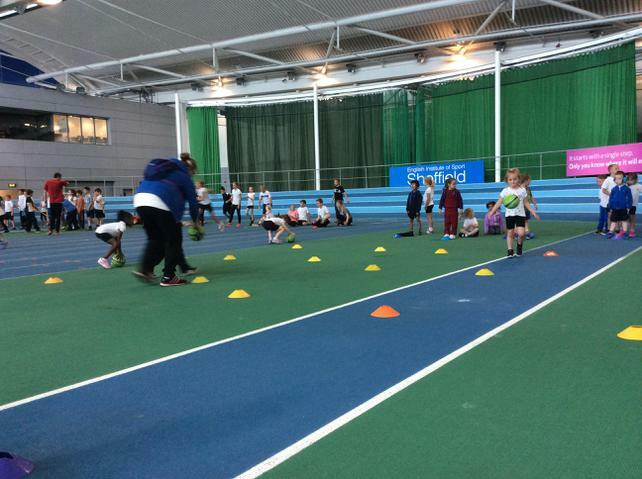 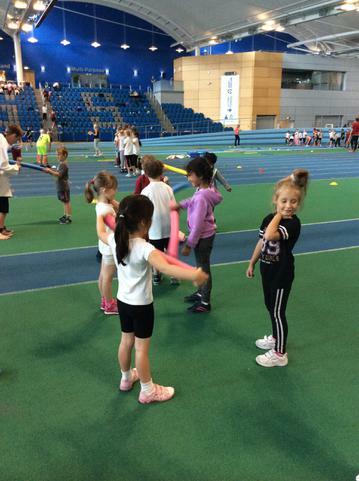 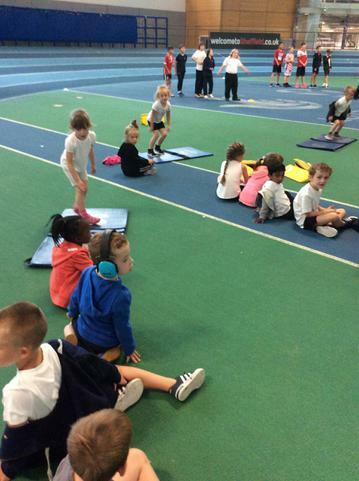 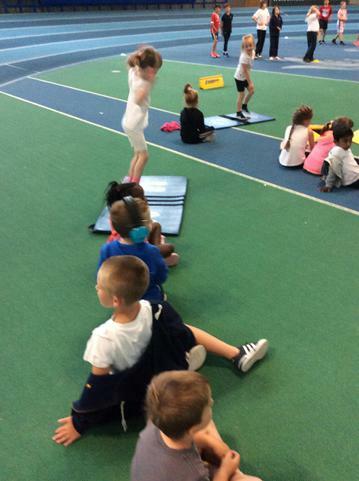 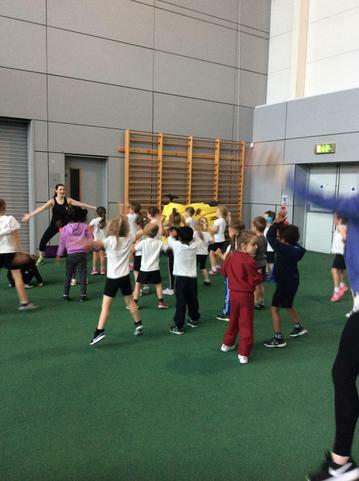 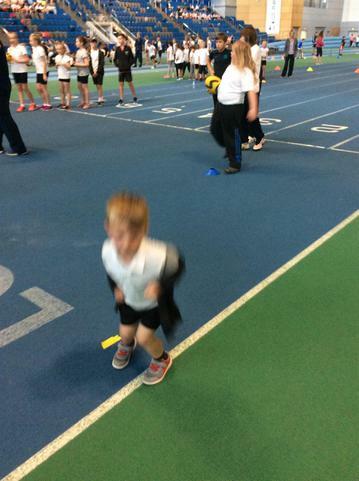 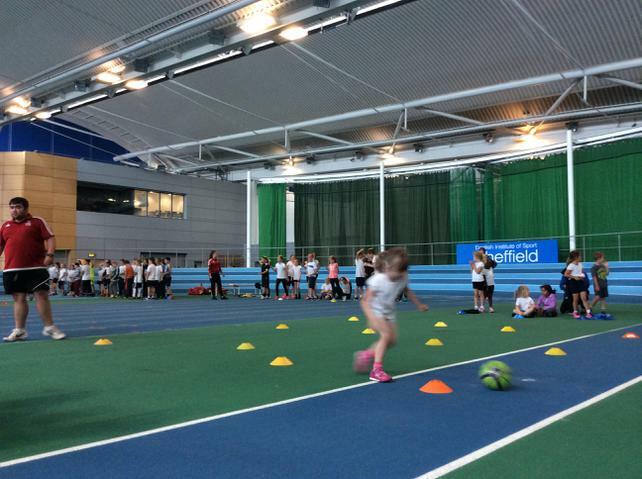 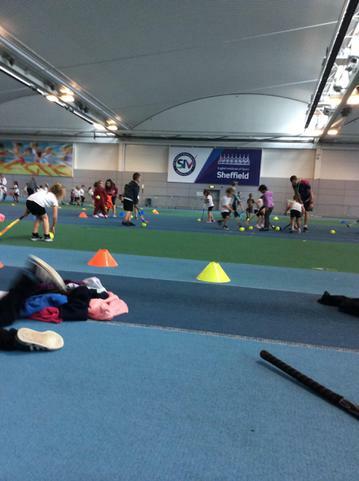 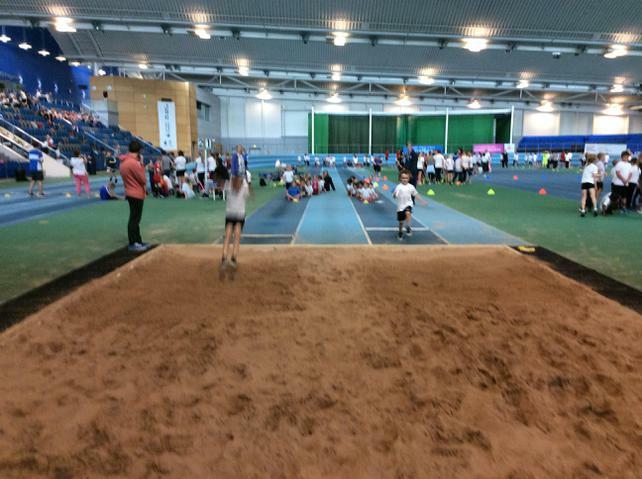 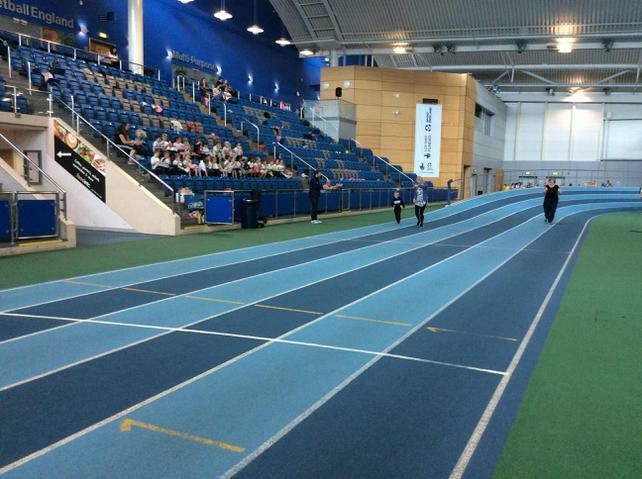 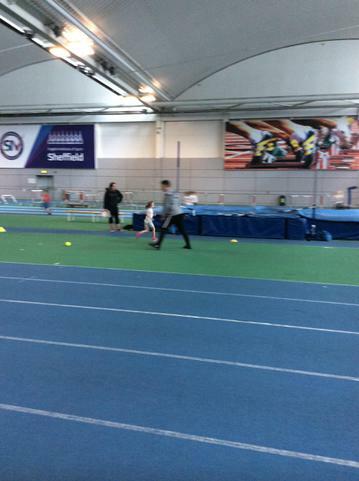 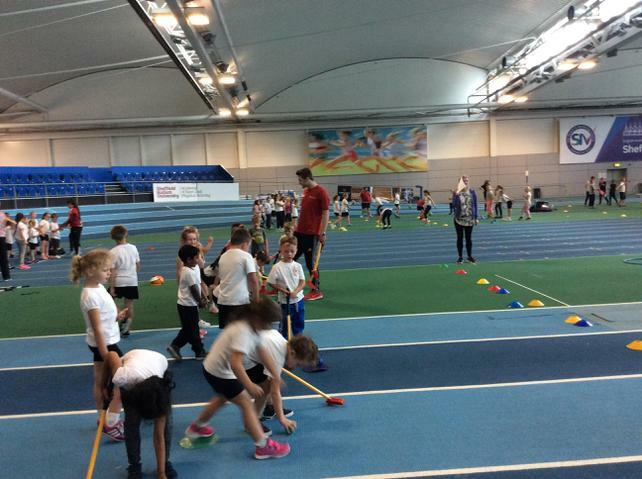 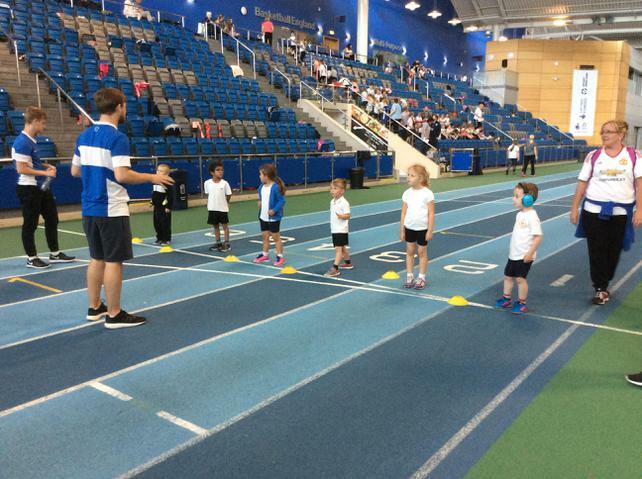 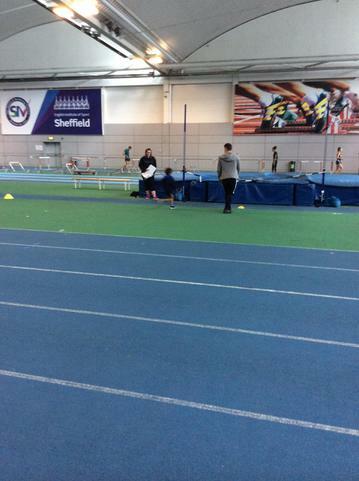 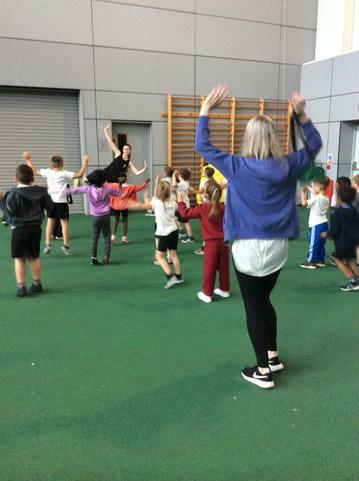 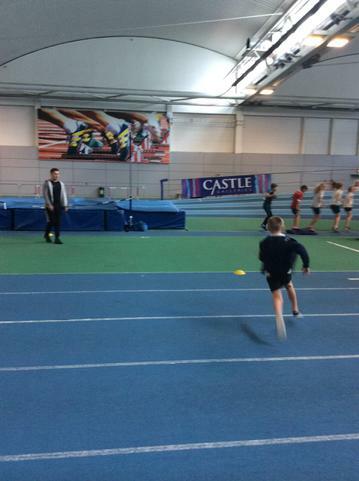 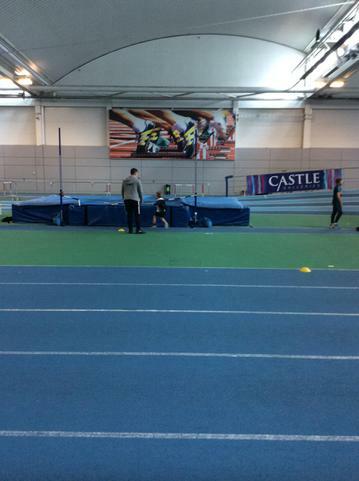 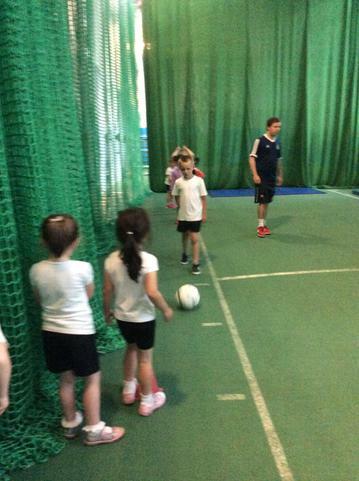 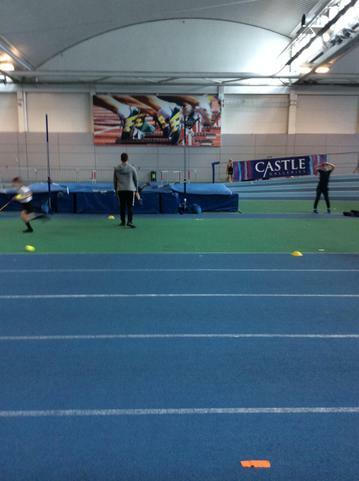 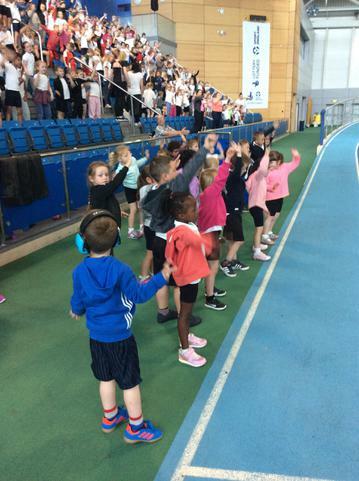 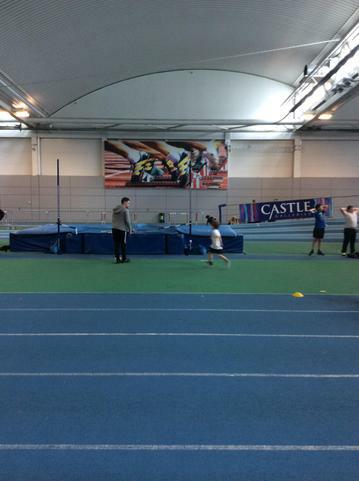 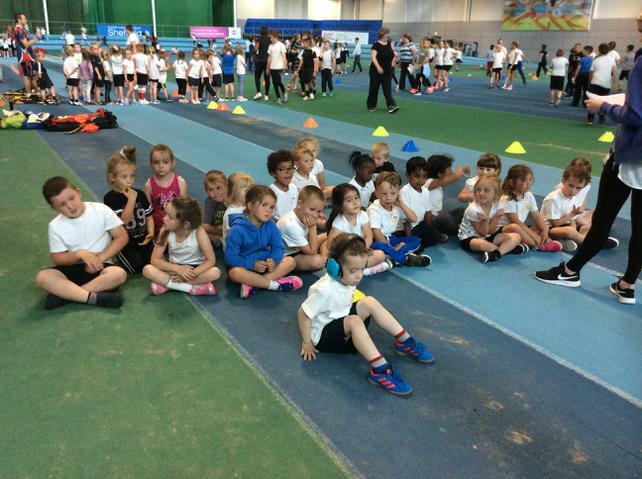 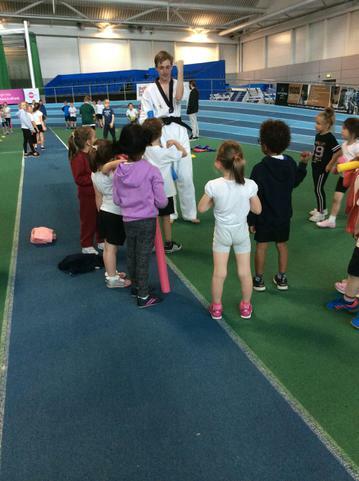 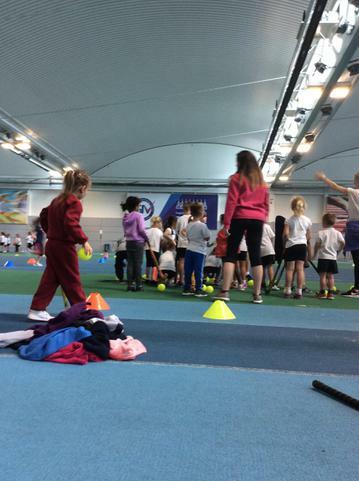 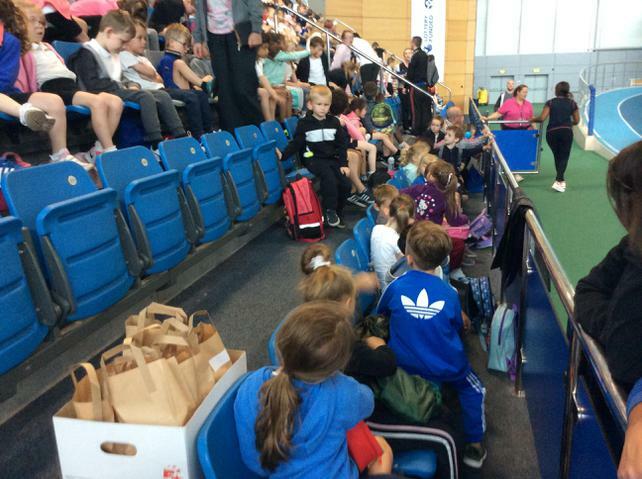 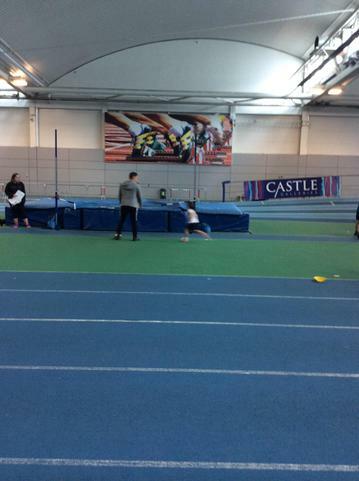 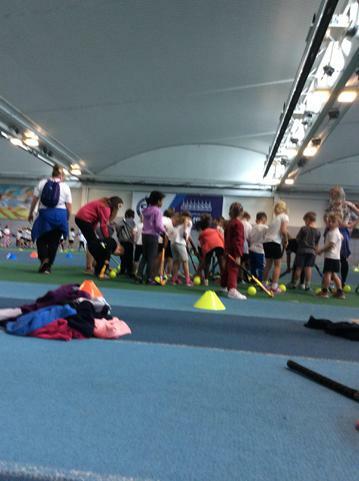 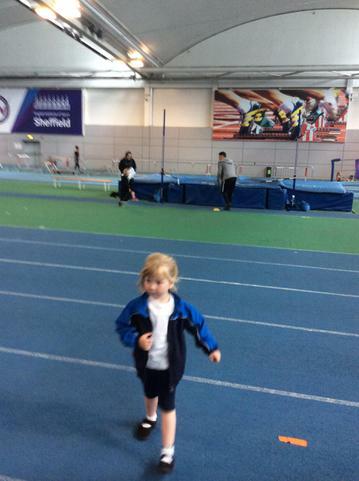 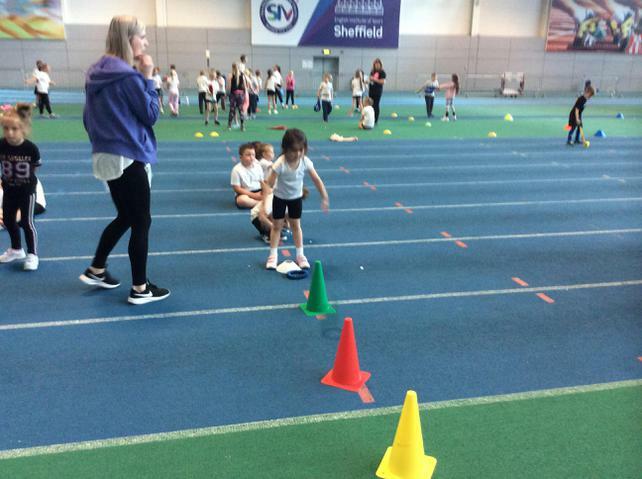 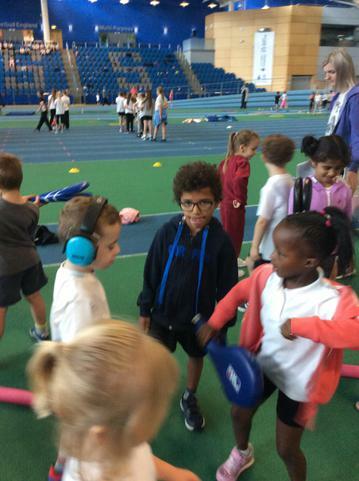 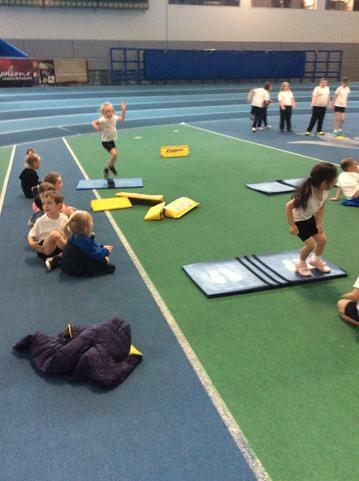 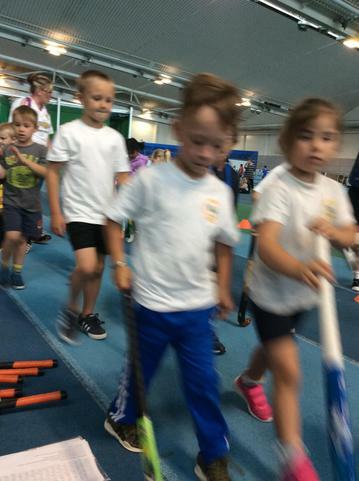 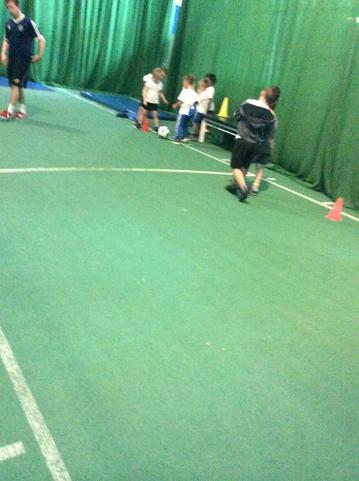 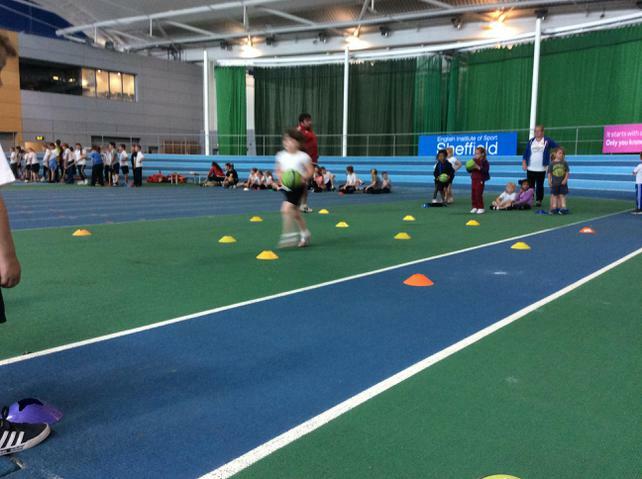 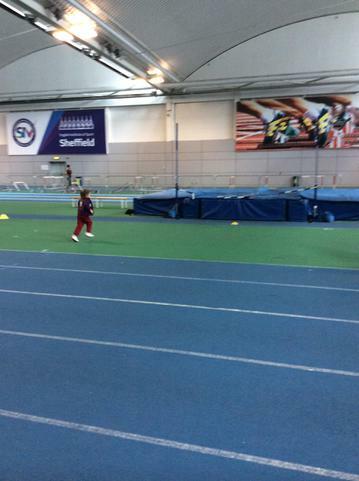 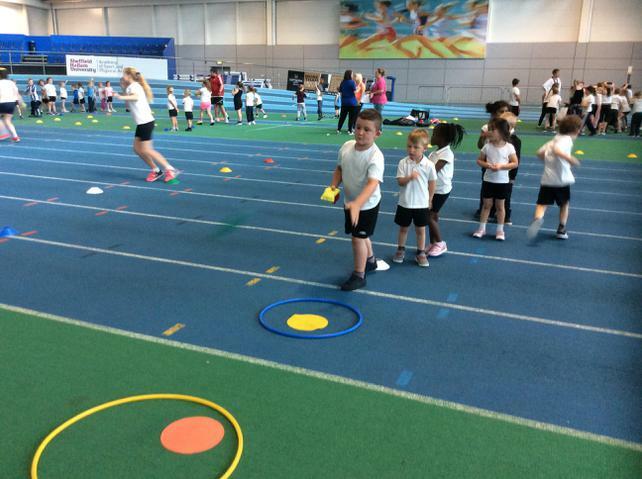 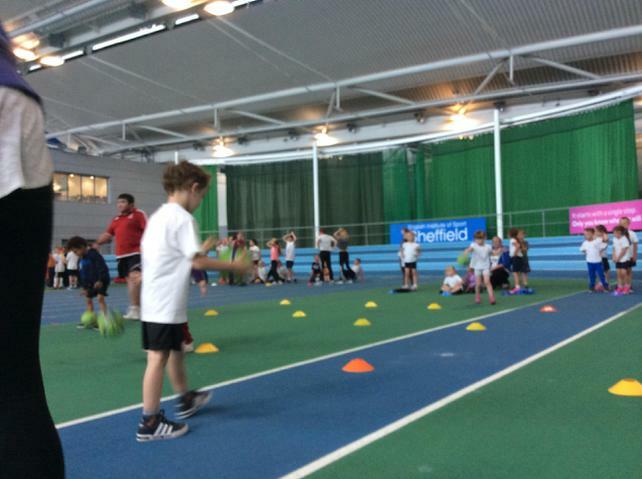 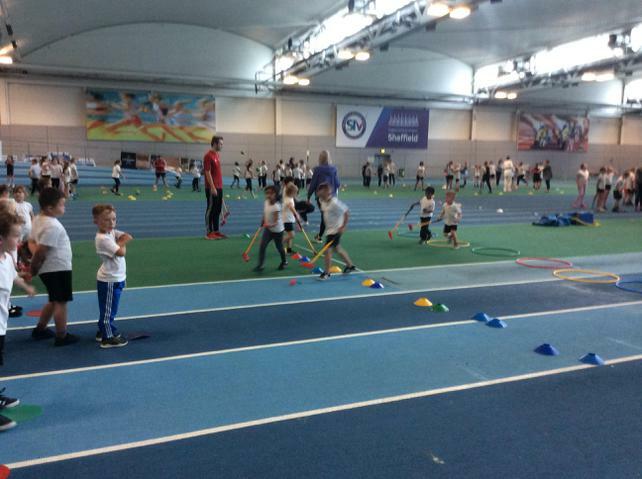 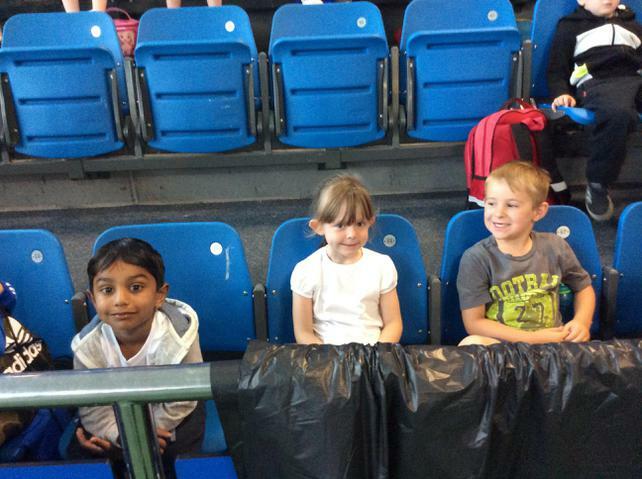 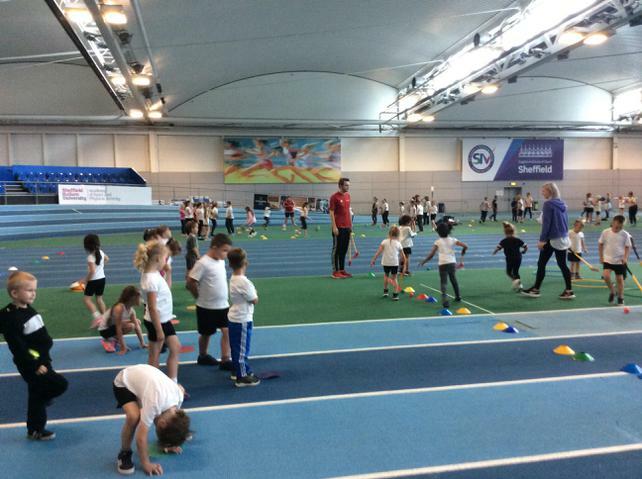 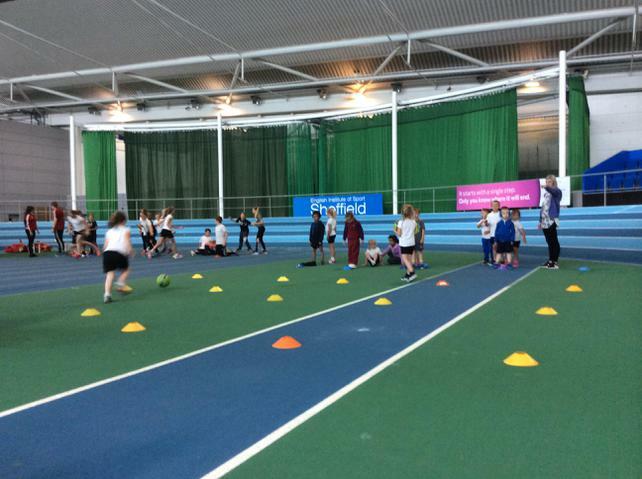 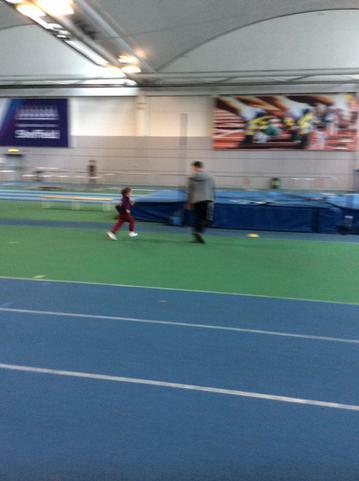 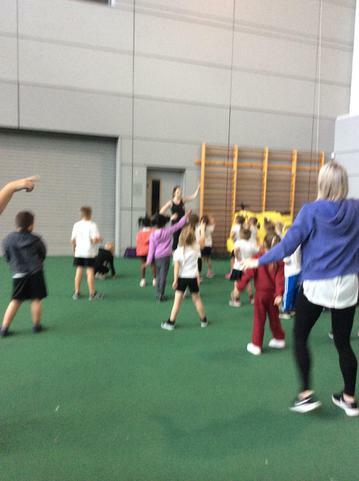 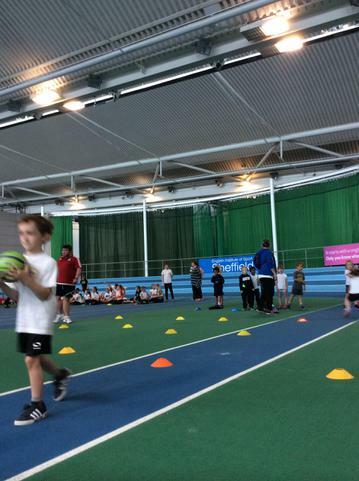 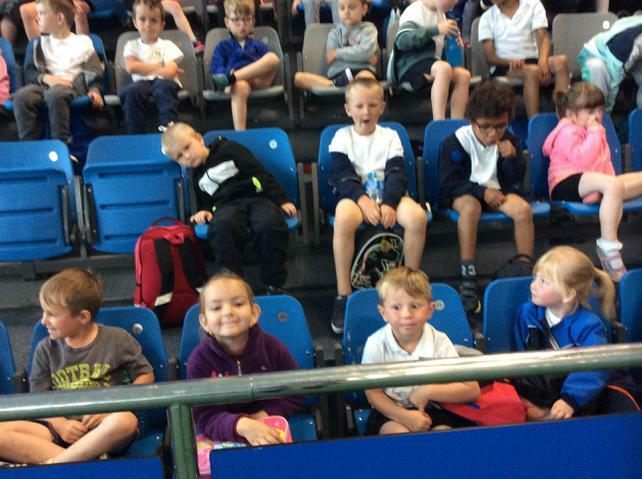 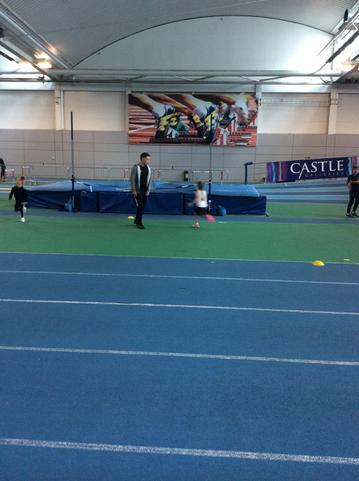 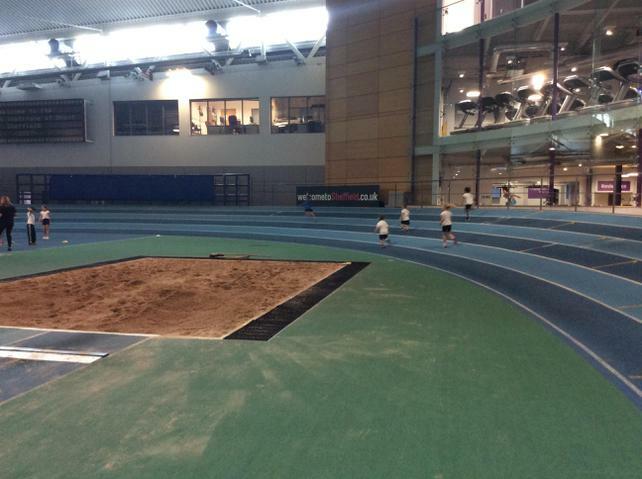 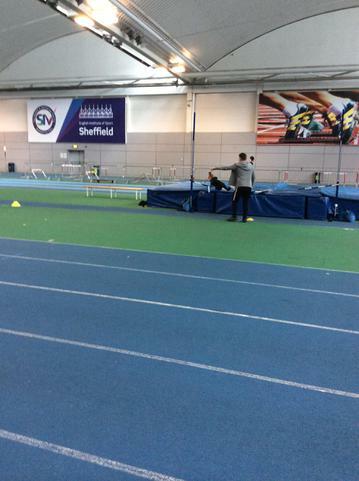 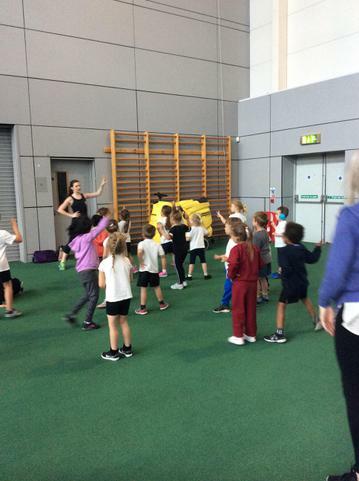 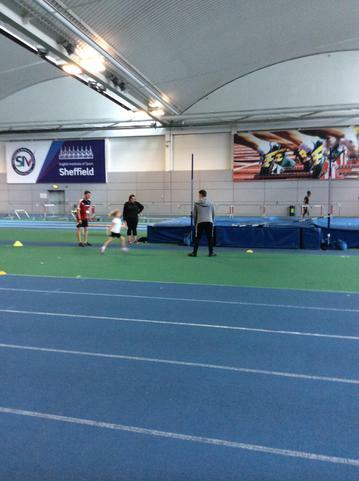 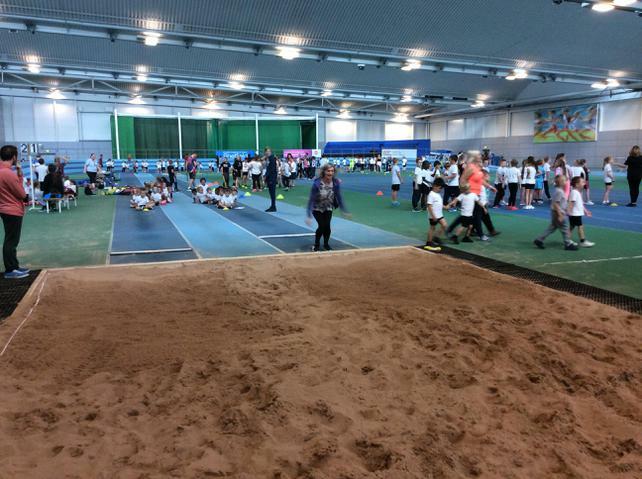 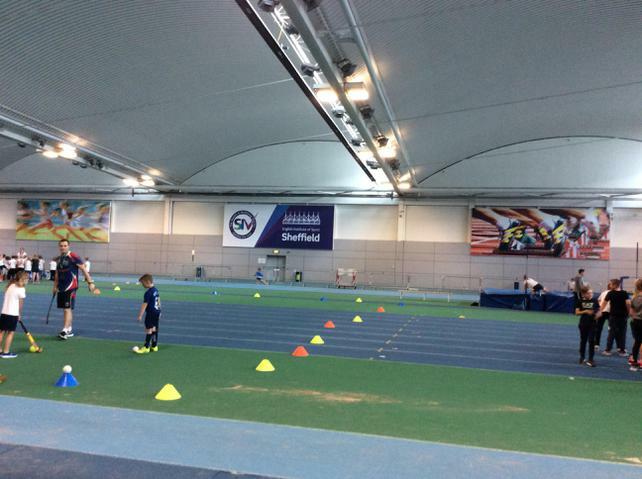 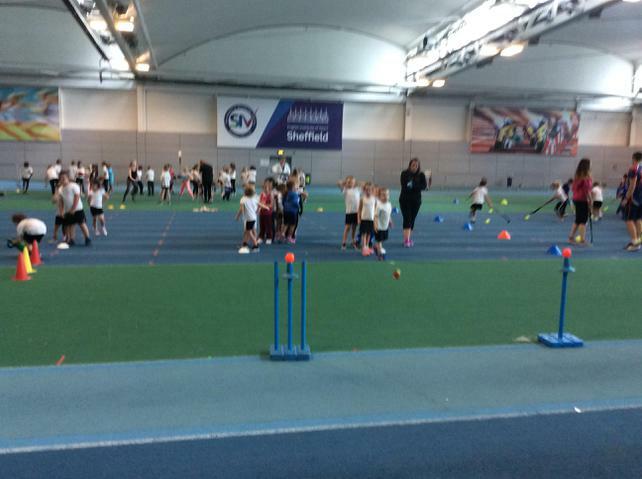 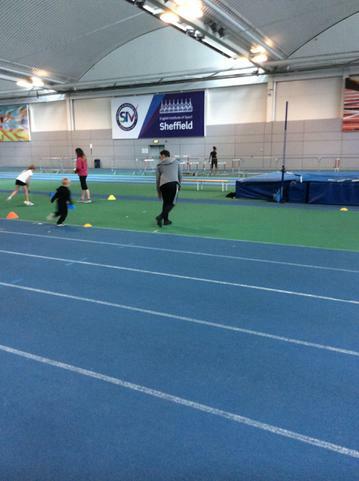 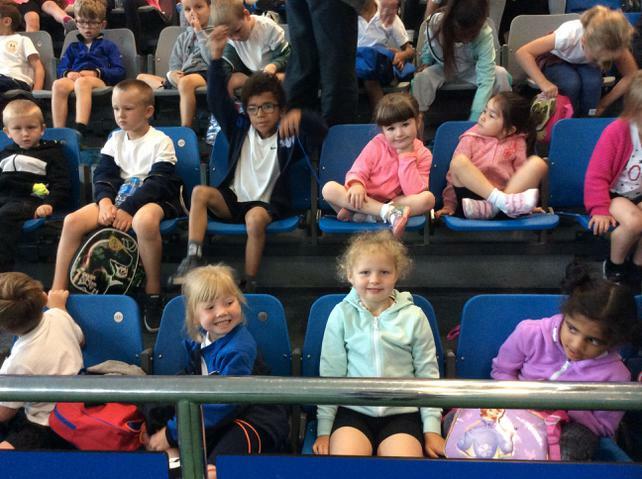 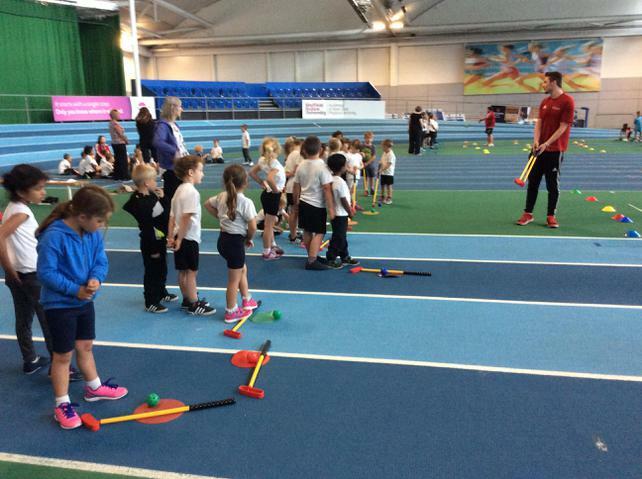 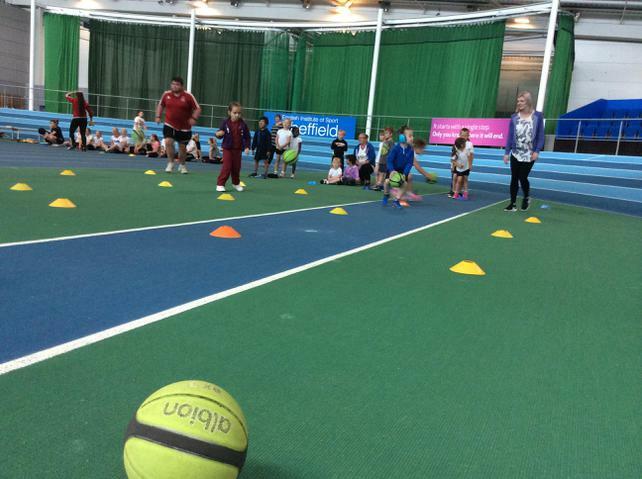 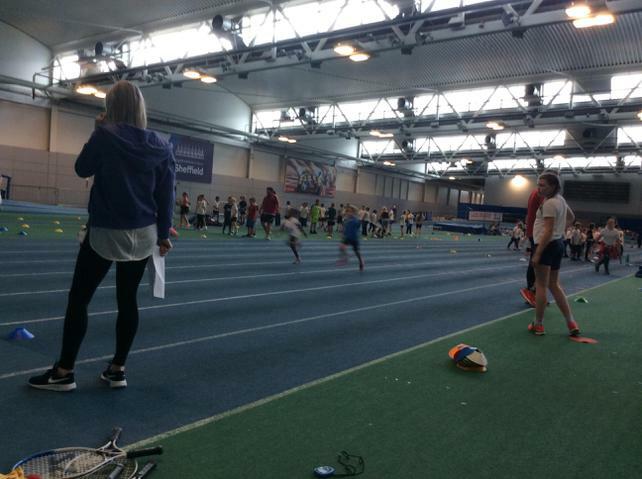 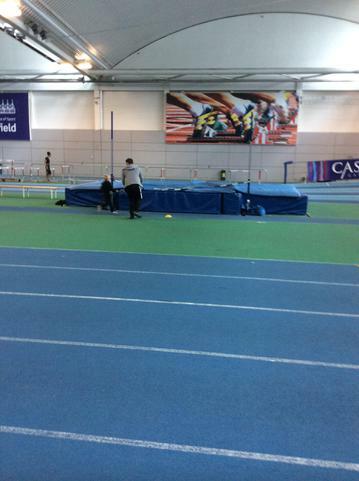 This week we have had our Federation Sports Day at the English Institute of Sport (EIS) in Sheffield. 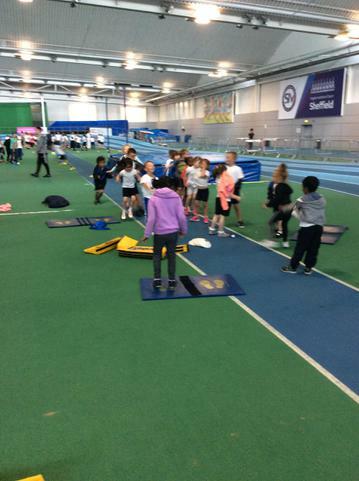 We spent the day with St Helen's and Sacred Heart, participating in lots of different activities. 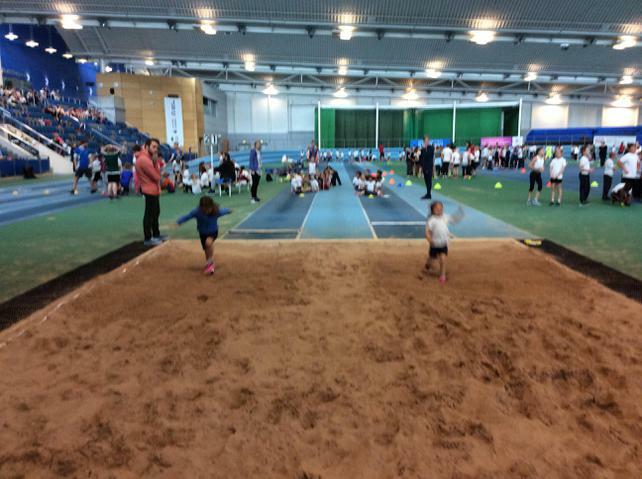 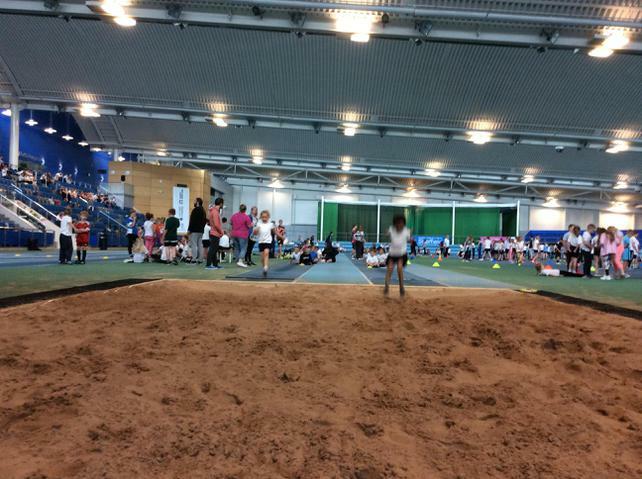 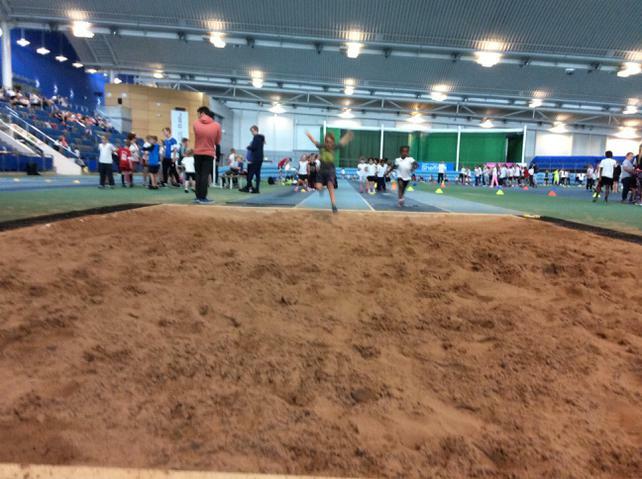 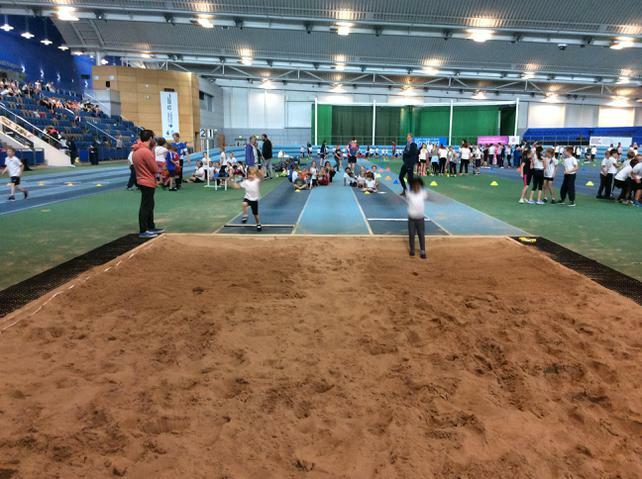 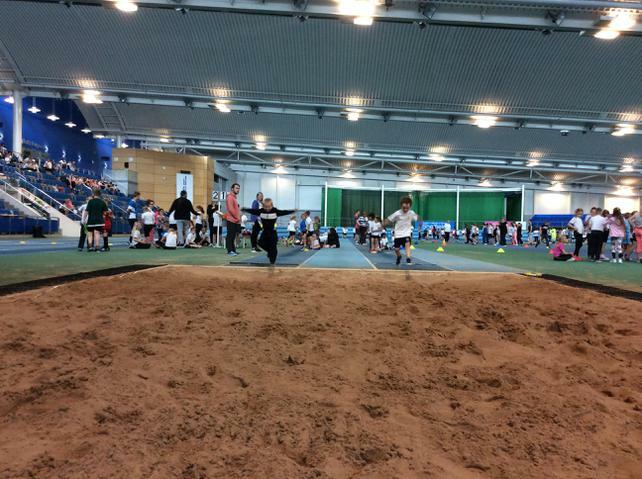 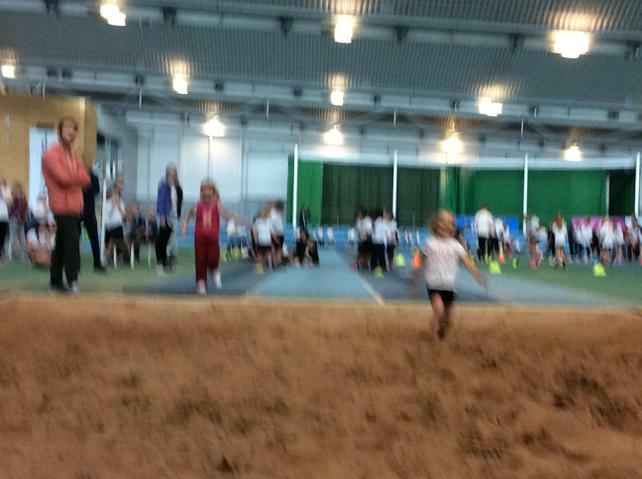 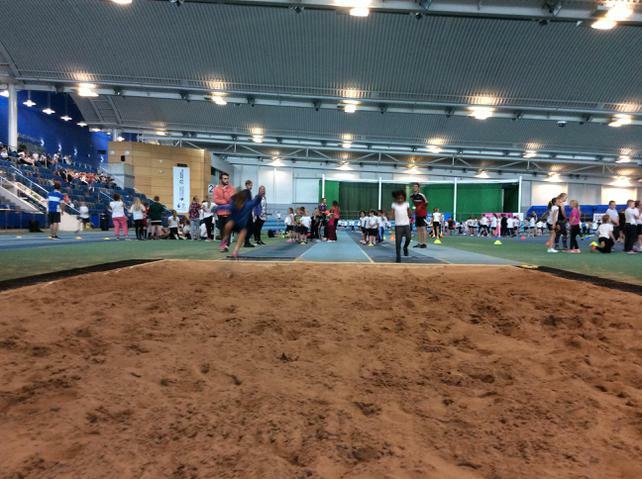 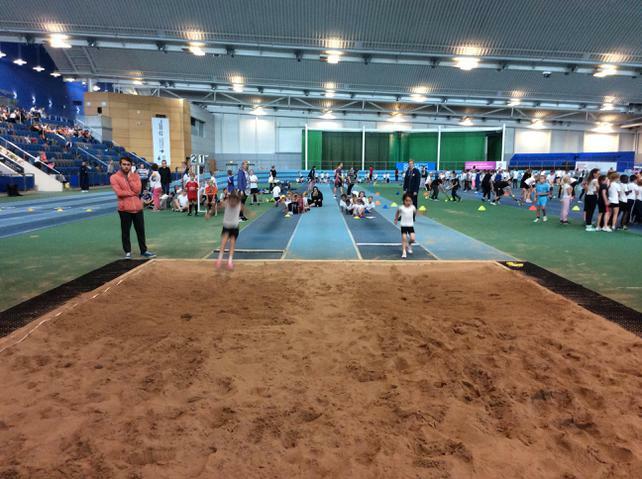 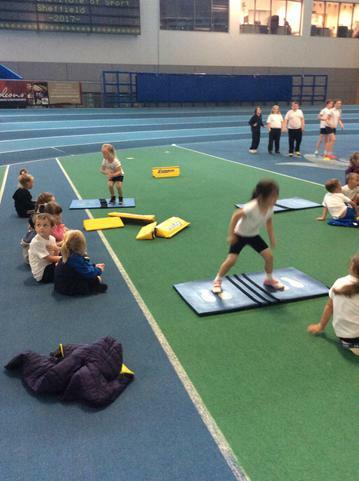 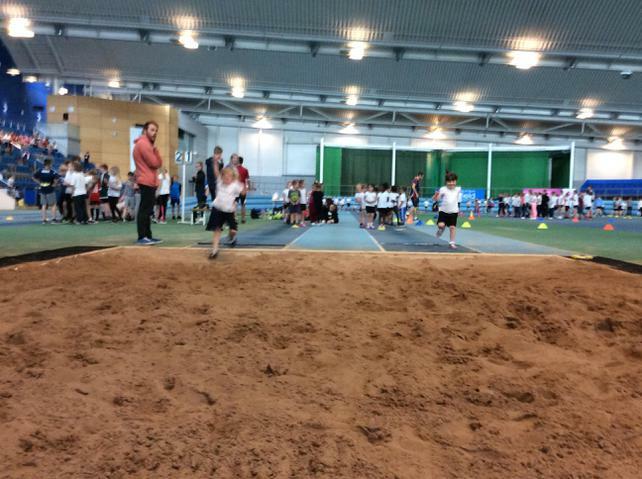 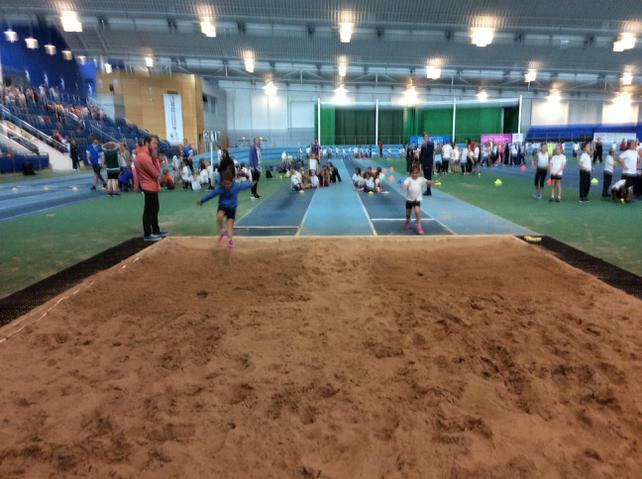 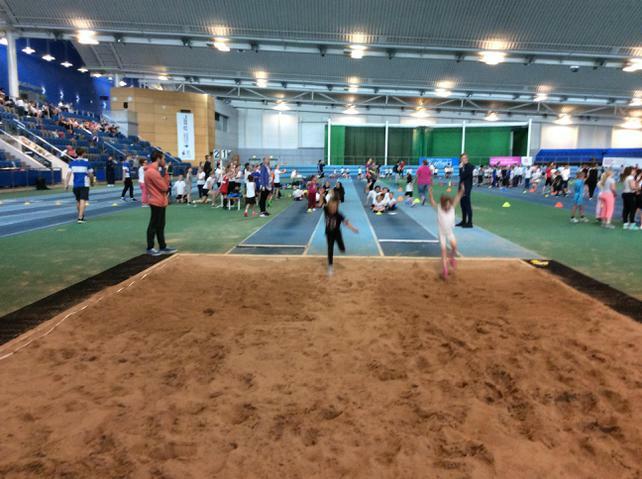 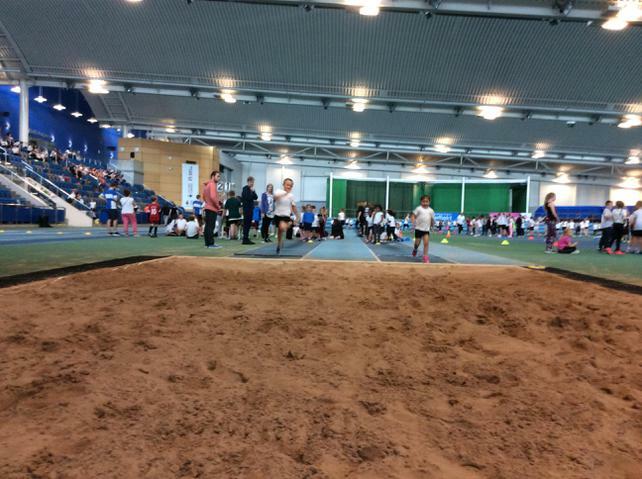 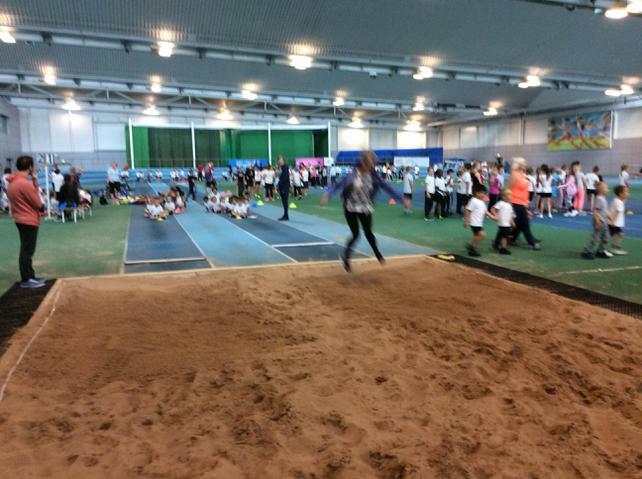 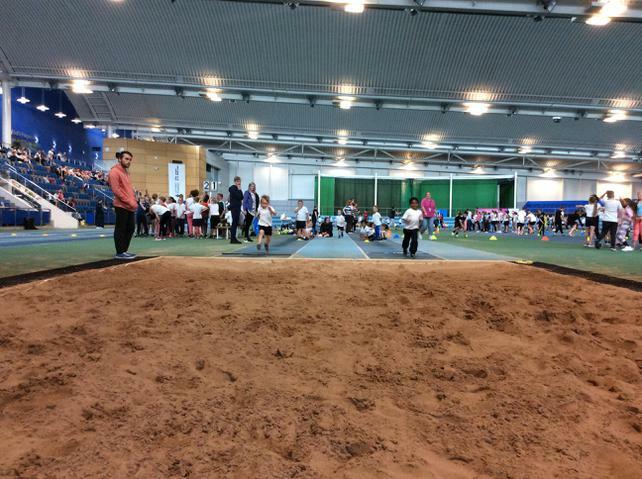 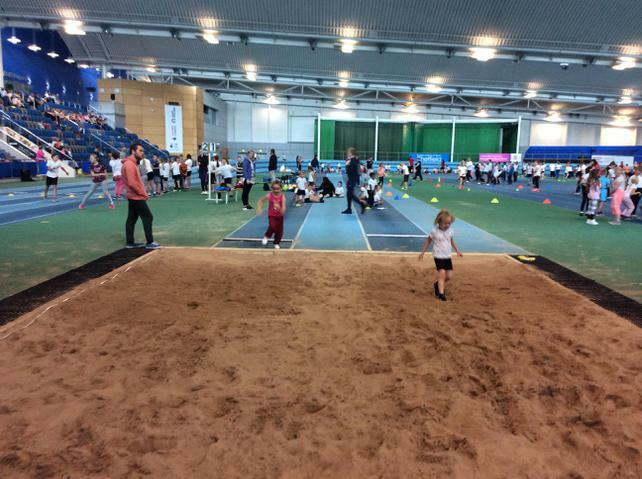 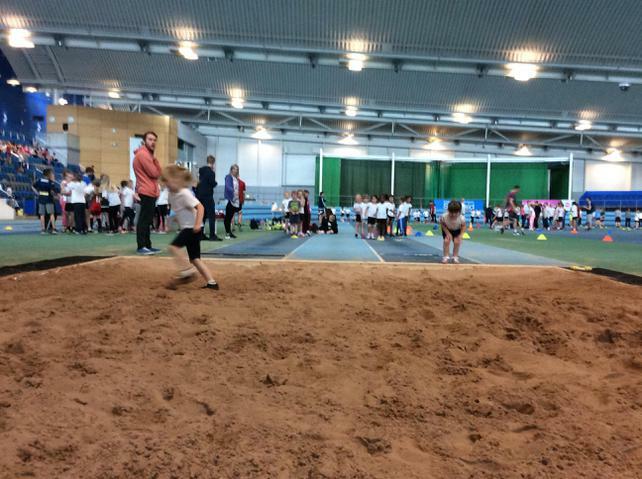 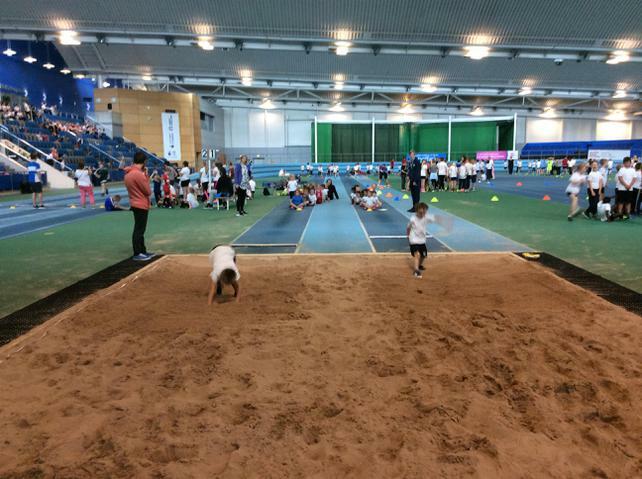 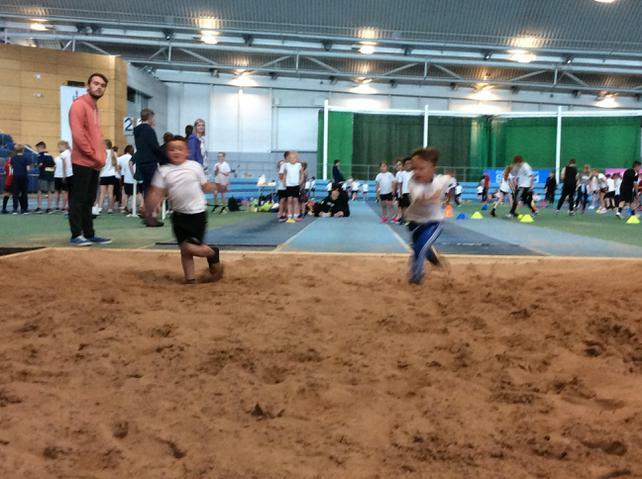 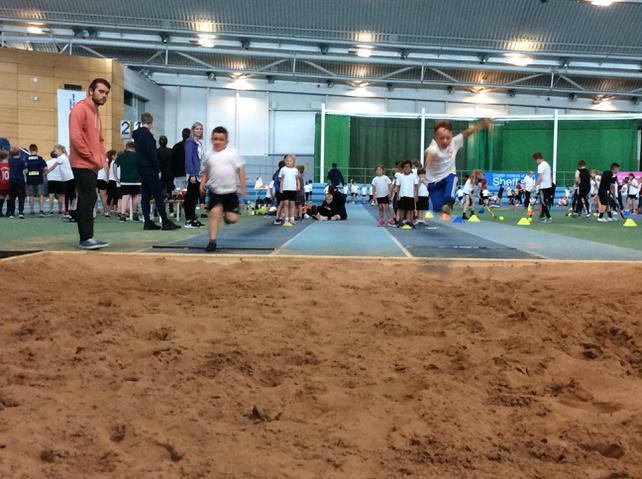 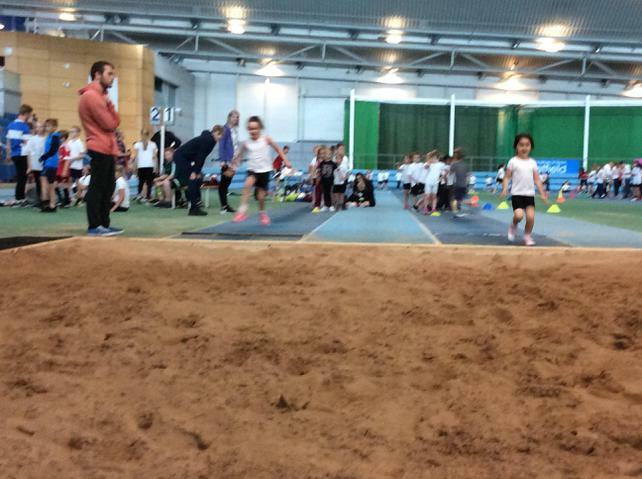 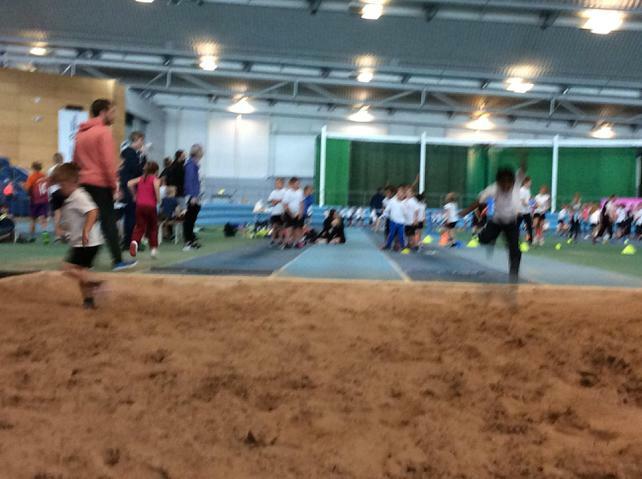 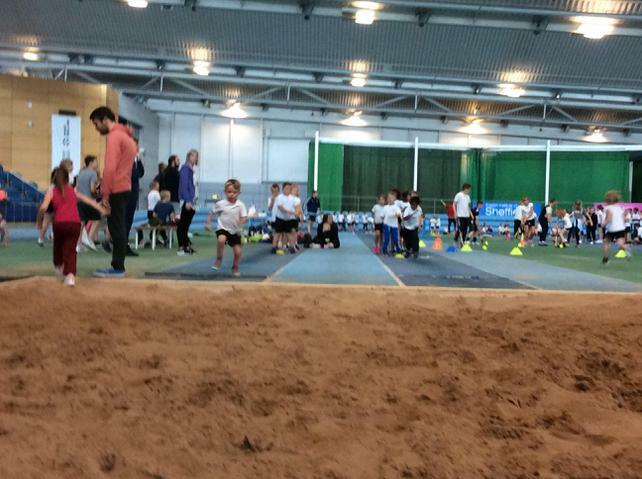 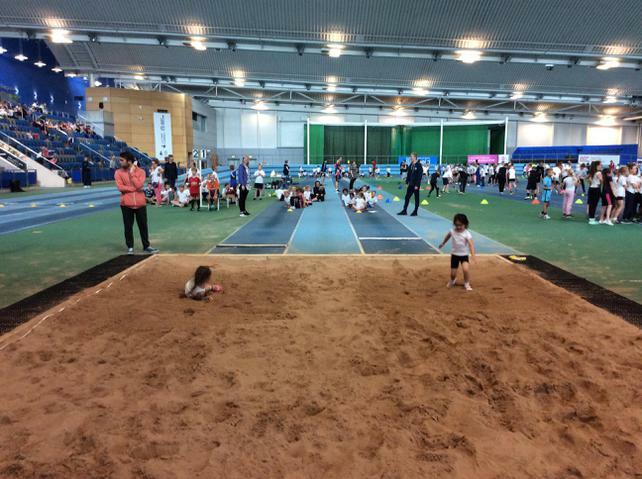 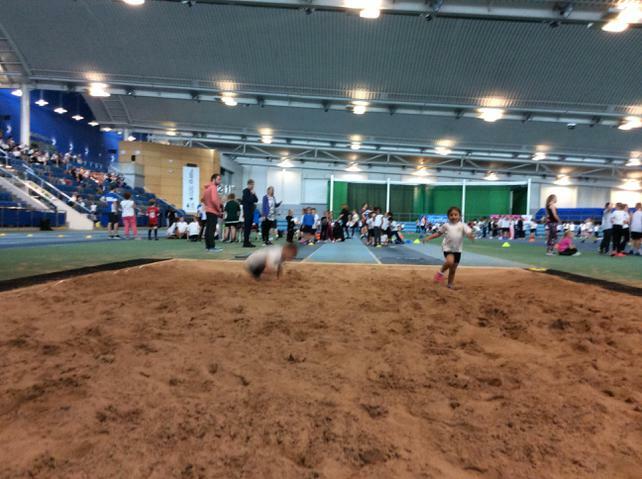 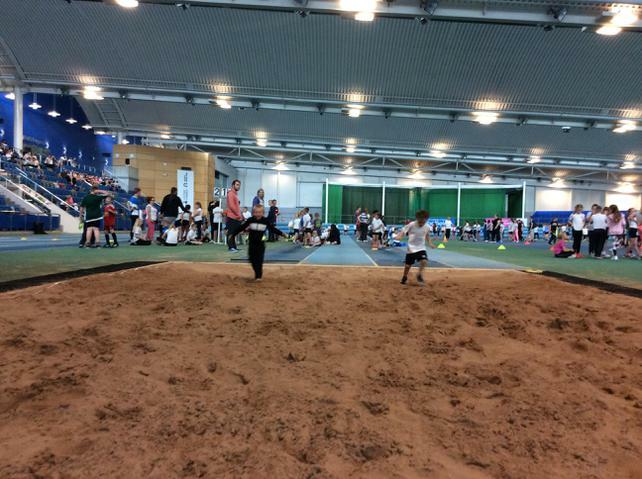 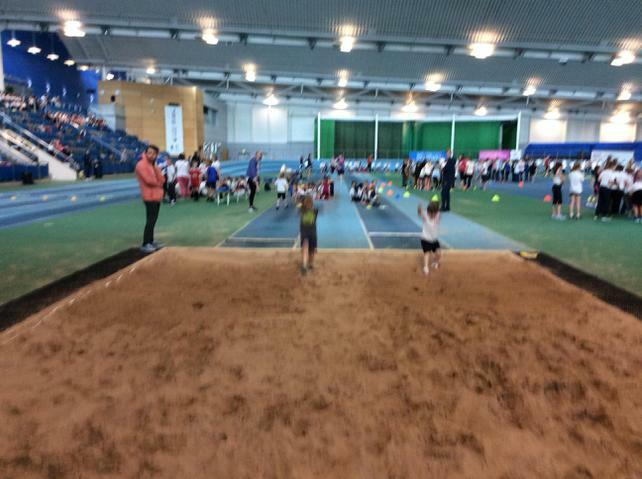 We had lots of fun jumping over the high jump and leaping into the sandpit for the long jump. 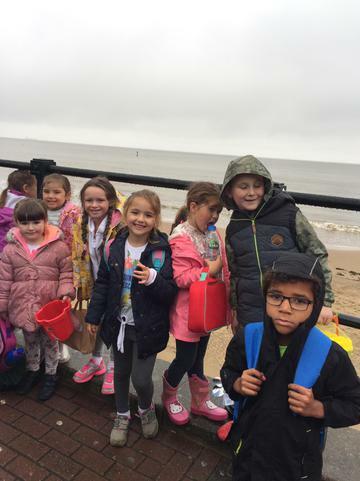 We had a fantastic day...full of fun! 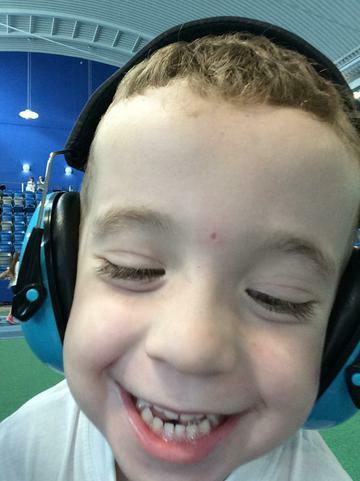 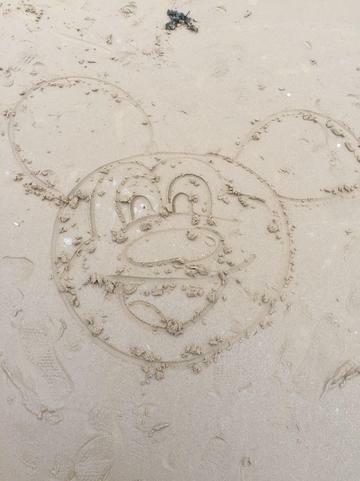 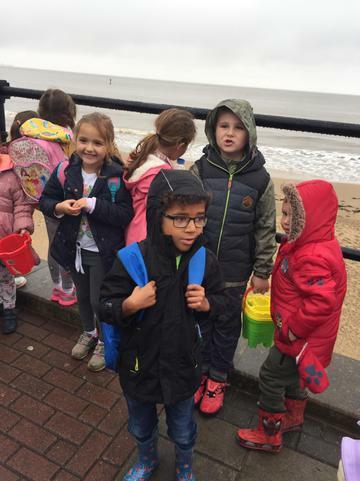 In week 3 we had an exciting trip to the seaside! 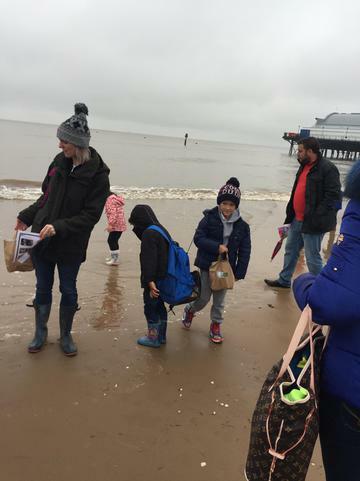 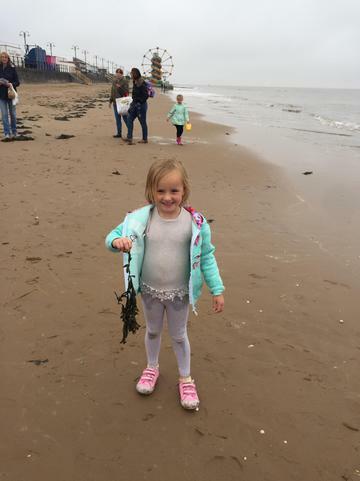 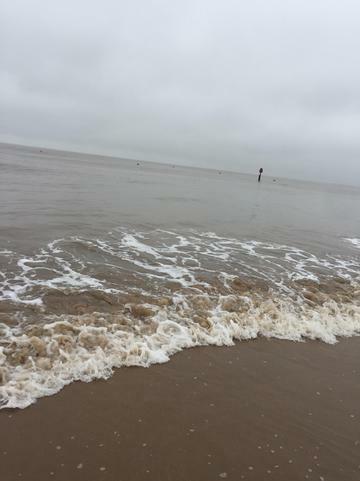 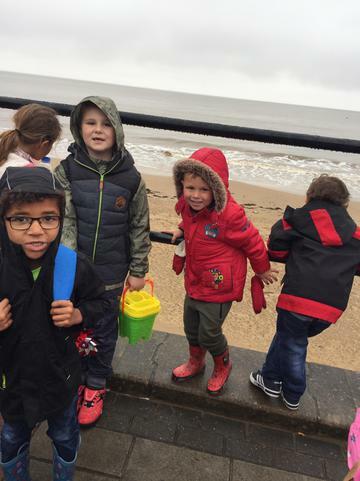 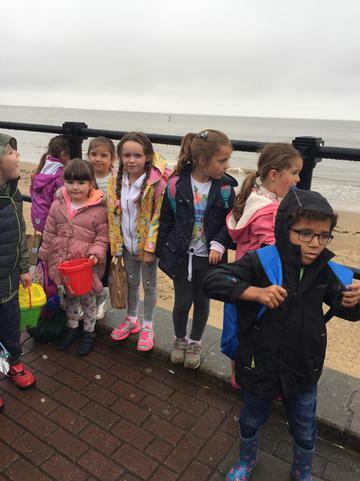 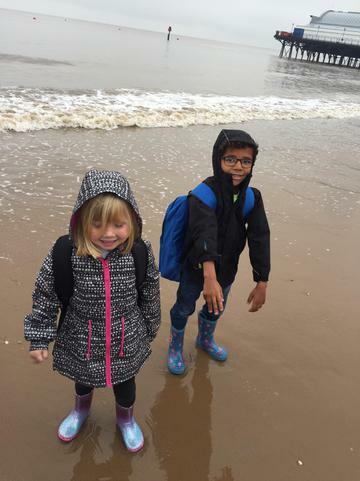 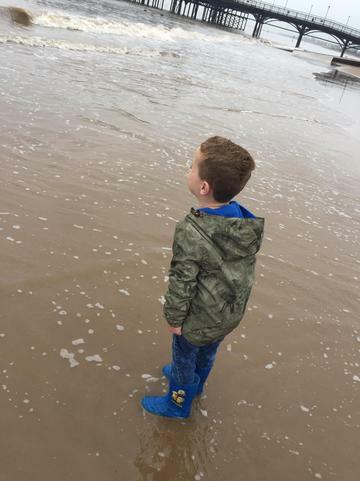 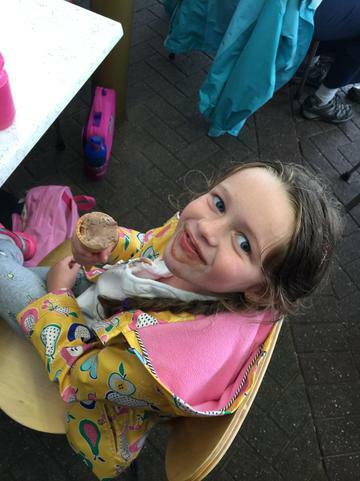 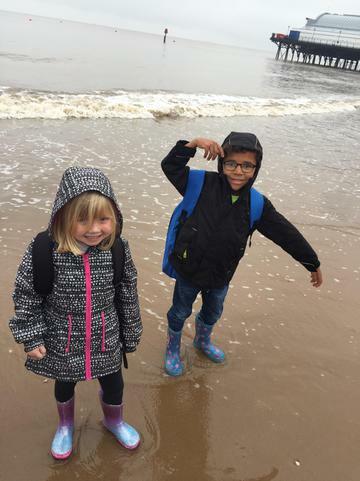 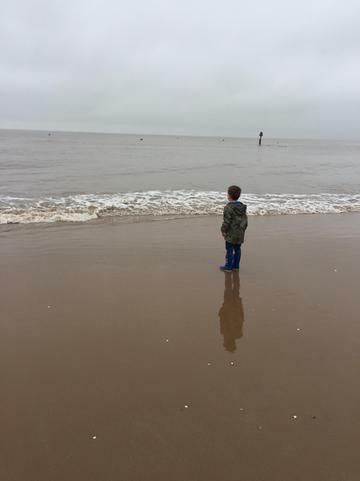 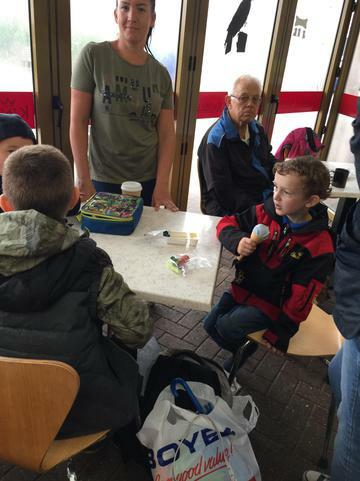 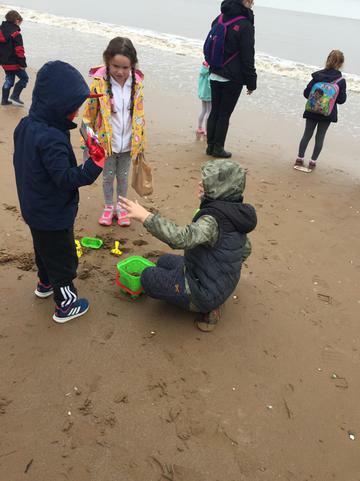 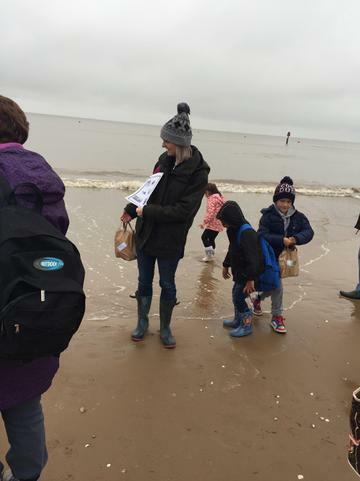 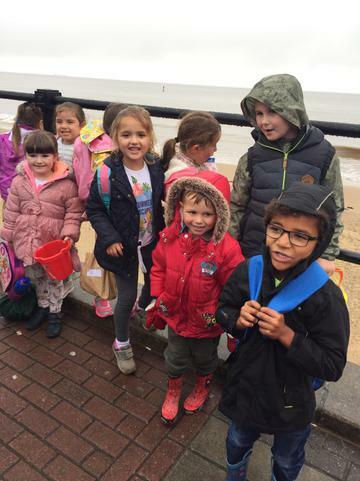 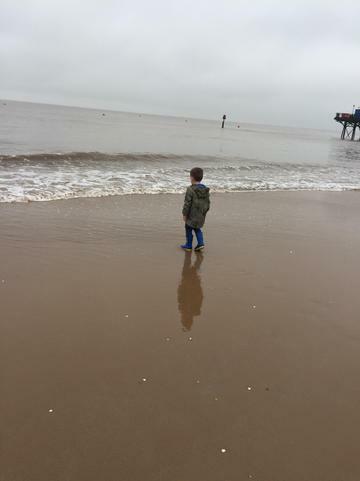 Class 1 went to Cleethorpes, it was a little bit wet and cold but despite the weather we had a lovely day. 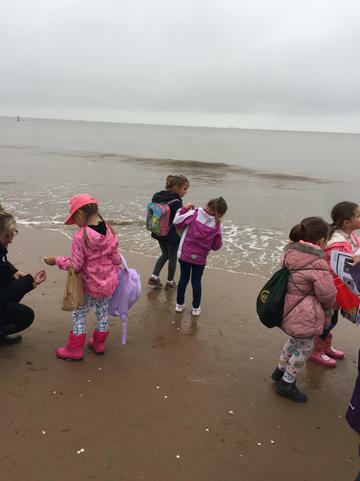 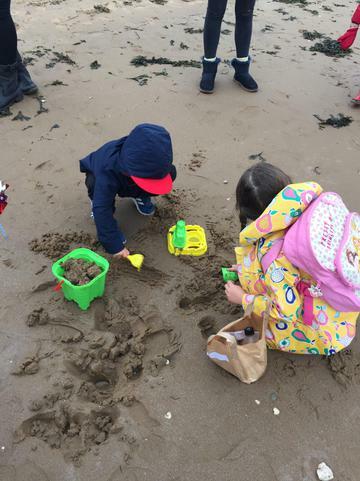 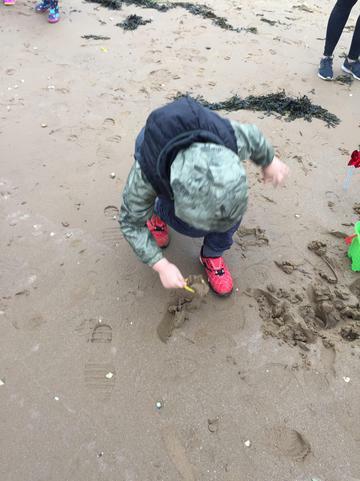 We played on the beach and looked at shells and any creatures that we could see on the beach. 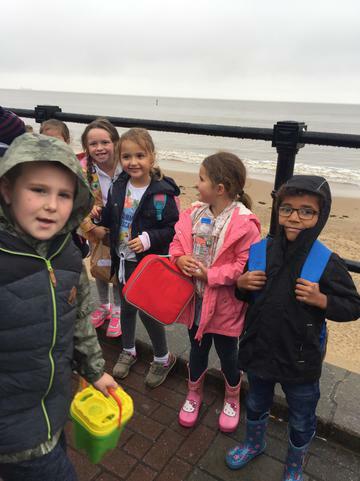 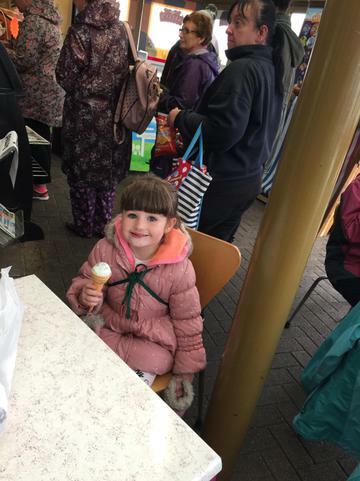 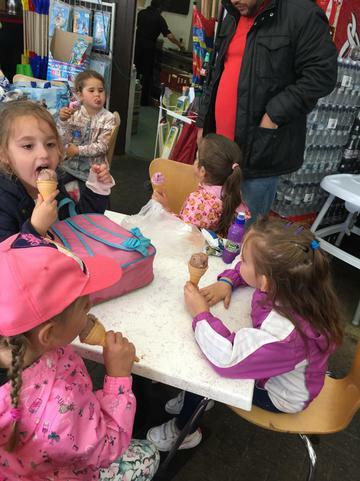 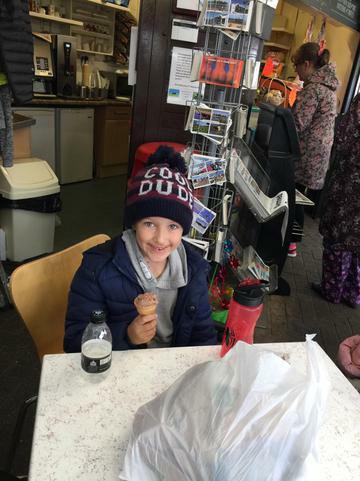 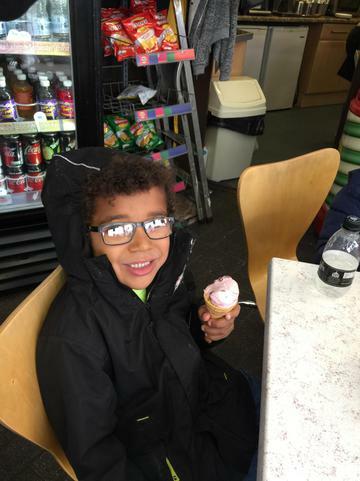 After that we took a walk along the seafront and had our lunch and a tasty ice-cream. 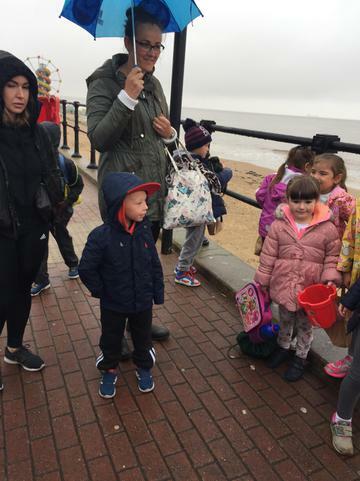 When we had finished our lunch we took a ride on the road train all the way back along the seafront. 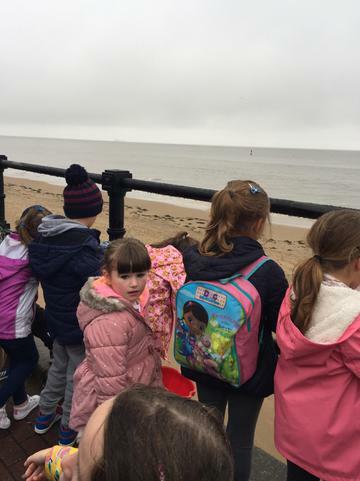 Unfortunately we discovered that donkeys don't like the rain so they weren't on the beach! 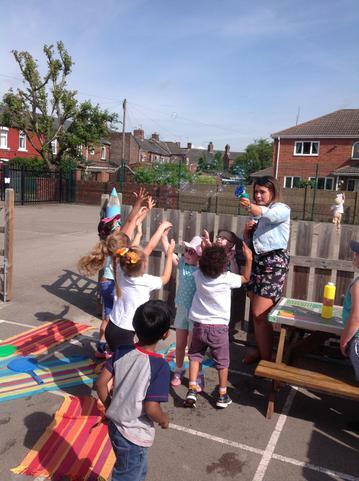 Class 1 are continuing to learn about 2D and 3D shapes and their properties, we have spent time naming and describing shapes and trying to build our own using polydron! 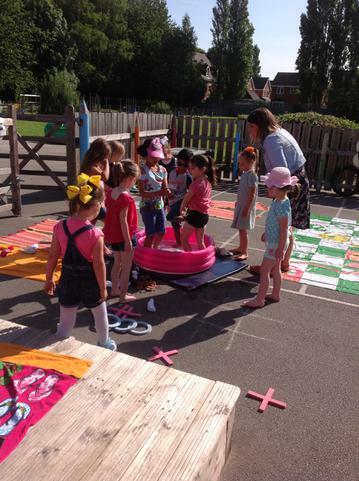 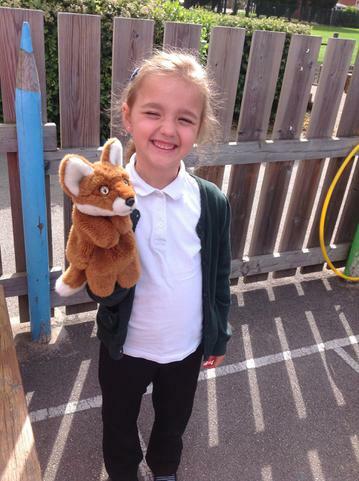 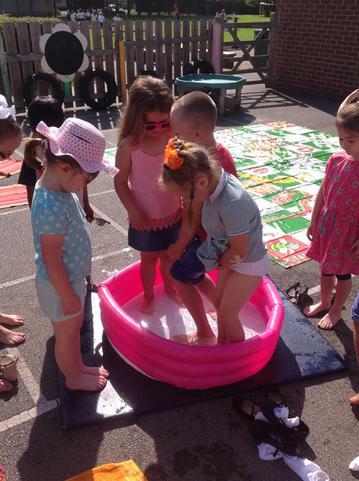 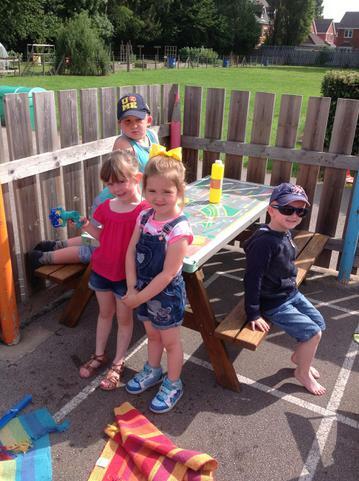 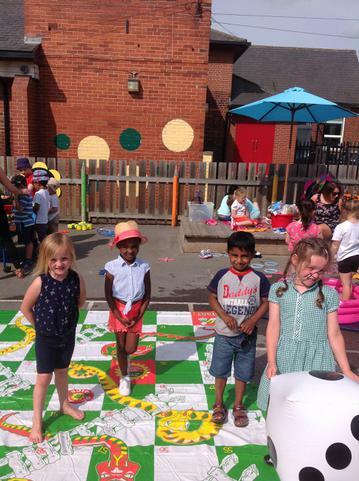 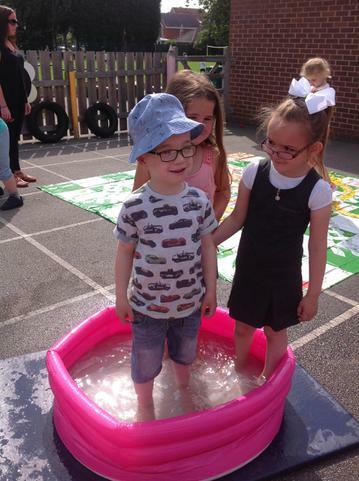 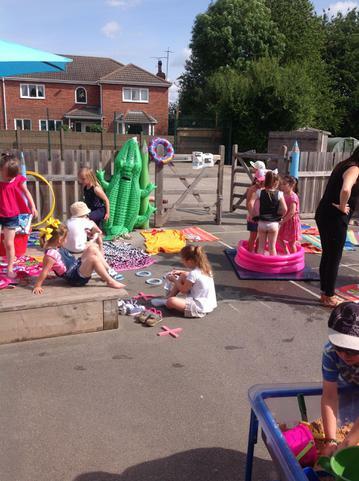 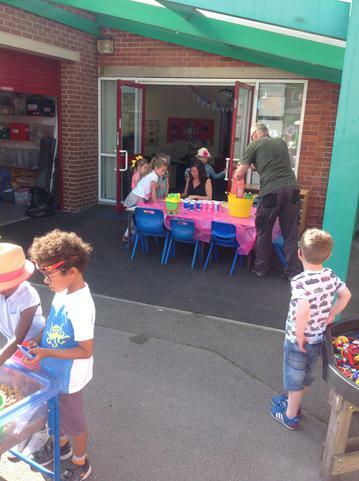 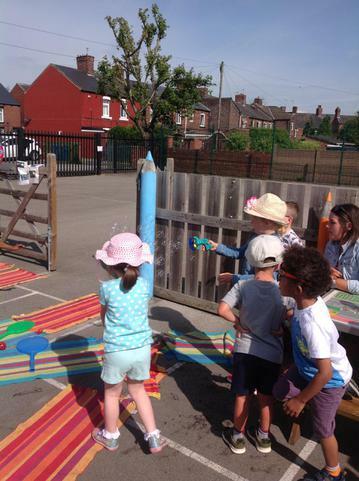 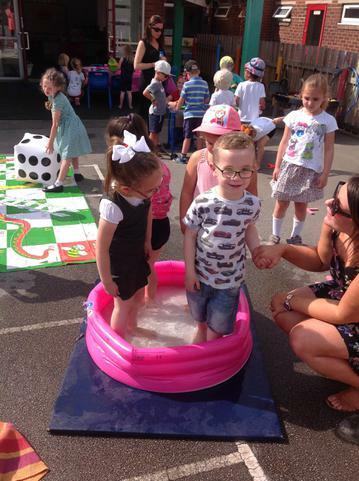 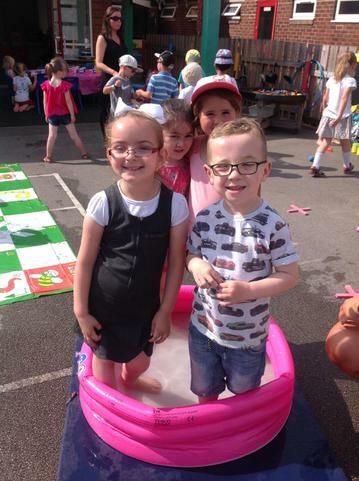 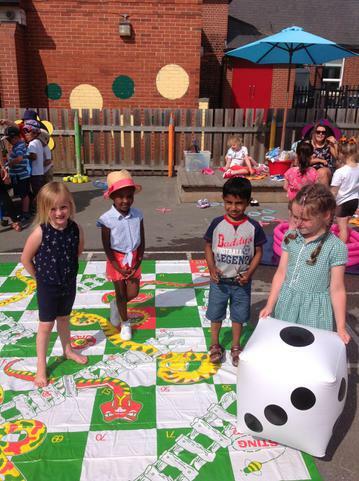 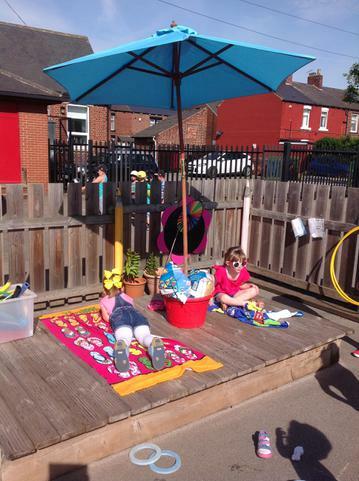 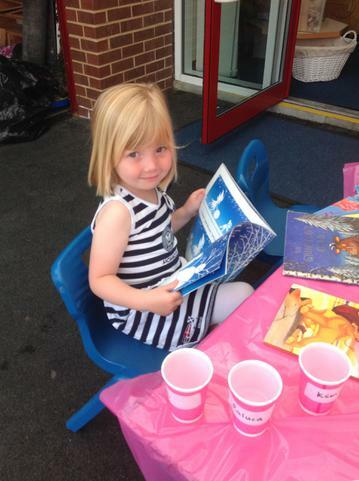 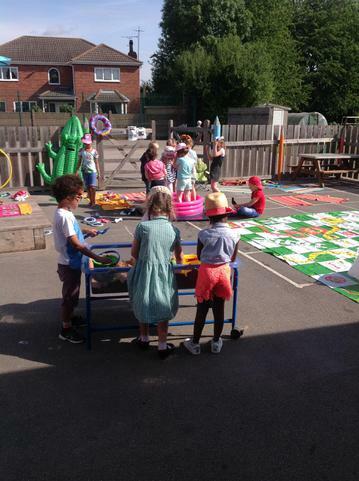 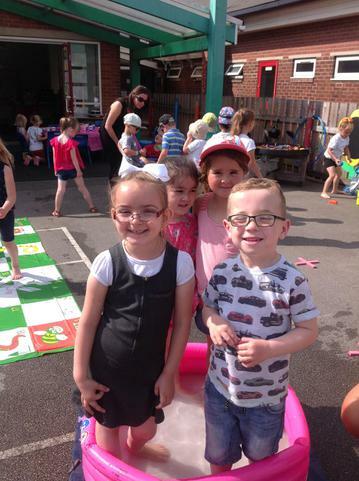 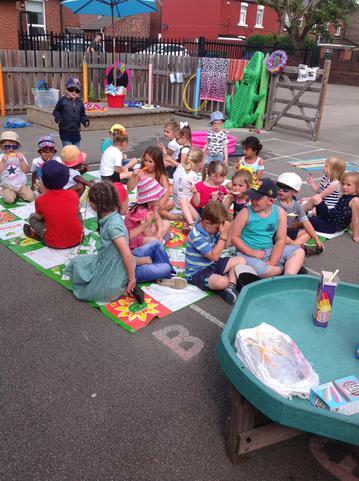 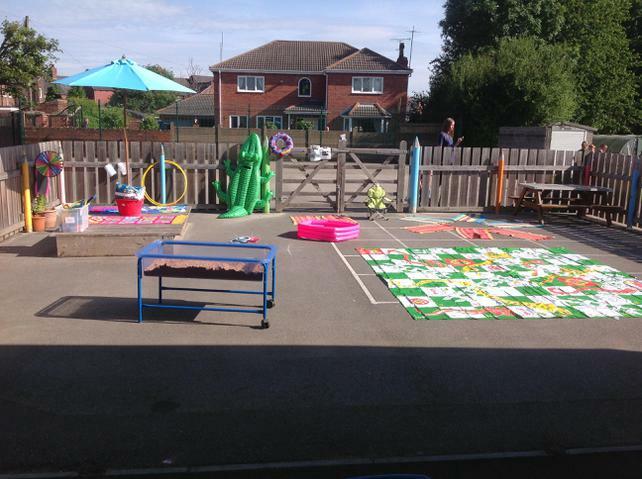 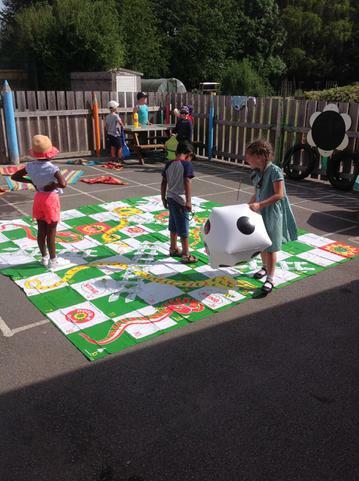 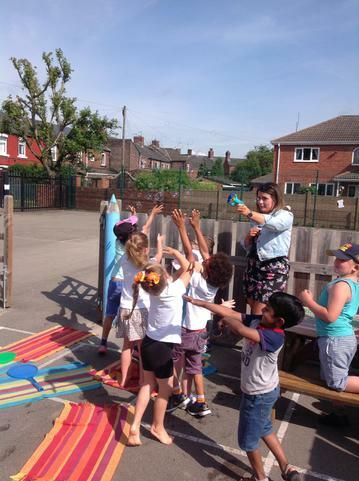 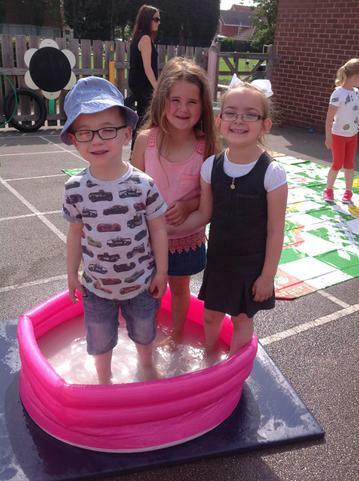 We are looking forward to our summer fayre in school tomorrow-let's hope that the weather stays nice!